CSX has agreed to pay a confidential settlement amount to the family of Sarah Jones, who was represented by partner Jeff Harris. We invite you to read more about the case here. Harris Lowry Manton LLP’s partner Steve Lowry joined Mid-Morning Live on @WTOC11 to discuss popular toys and products that have been recalled, so you can avoid dangerous purchases this year. Six attorneys at Harris Lowry Manton LLP, a leading law firm with offices in Savannah and Atlanta, have been honored as 2018 Georgia Super Lawyers and Rising Stars. Two of the firm’s partners are included in the Georgia Super Lawyers prestigious Top 100 list. Six attorneys at Harris Lowry Manton LLP, a law firm with offices in Savannah and Atlanta, have been honored as 2018 Georgia Super Lawyers and Rising Stars. Two of the firm’s partners are included in the Georgia Super Lawyers prestigious Top 100 list. Bernecker died July 14, two days after suffering massive head injuries in a fall of more than 20 feet from a balcony to a concrete floor while rehearsing a fight scene with an actor. An airbag had been placed below him, but he missed it, striking his head on the ground. Washington (WTGS FOX 28) — A host of agencies are still investigating Monday’s deadly Amtrak derailment in Washington. Everyone from the NTSB to the Transit Authority, and even state agencies are taking a look at what exactly went wrong. 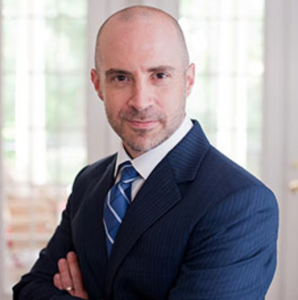 Savannah attorney, Stephen Lowry, is a partner with Harris, Lowry & Maton and he focuses on transportation law. He’s asking why the train didn’t have a positive train control system installed. It’s a system that monitors a train’s speed and slows it down if it passes a checkpoint too fast. Lowry says, had this train had one, the tragic crash could have been prevented. One day after a deadly Amtrak train derailment in Washington state, a Savannah attorney specializing in public transportation accidents speaks about what it could cost the company. And it’s not as much as you may think. At least three people are dead and dozens more injured after Amtrak train cars derailed in Washington state Monday. Eighty passengers, two Amtrak employees, and five on-duty crew members were on board. Lawsuits are likely forthcoming, but Savannah-based attorney Stephen Lowry, whose firm handles railroad and catastrophic disaster cases, says the number of claims won’t impact what Amtrak pays. For the fourth year in a row, Harris, Lowry, Manton Law group provided a lunch and entertainment at Daffin Park for our area’s First Responders. With these firefighters, police officers and EMT’s putting their lives on the line every day to keep us safe, the folks at the law group say they’re just doing their part to say thank you. Police cars, ambulances, fire trucks and other emergency vehicles lined the roads running through Daffin Park on Wednesday — but there was no danger. Members of multiple departments and public safety entities in Savannah and Chatham County were treated to a free picnic lunch in the park by local law firm Harris Lowry Manton LLP. This is the fourth year the law firm has held its First Responder Appreciation Luncheon. HLM Partner Steve Lowry discusses the importance of inspecting and maintaining decks and railings. Harris Lowry Manton LLP is pleased to announce that partner Steve Lowry has been included in the list of the Nation’s Top One Percent of attorneys by the National Association of Distinguished Counsel. The NADC is an objective “organization dedicated to promoting the highest standards of legal excellence,” and recognizing attorneys who “have demonstrated the highest ideals of the legal profession.” Through their proprietary methods, the group selects only the top 1% of practicing attorneys in their field for inclusion. We invite you to learn more about the National Association of Distinguished Counsel and visit Steve’s online profile. HLM offers a wholehearted “Congratulations!” to our partner, Steve Lowry, for his selection. He is undoubtedly deserving of this honor. Earlier today, the Bryan County Emergency Management Agency reported that three people are presumed dead after a charter plane crashed into the woods in Bryan County, right on the border of Effingham County. The plane, which took off in Savannah, crashed into a densely-wooded area, as per WTOC.com. No identities have been released. At the time of this writing, the Federal Aviation Administration was on its way to investigate, and The National Transportation Safety Board was sending investigators. All of us at Harris Lowry Manton LLP send our thoughts and prayers to the families, and wish to extend our thanks to all emergency service personnel and volunteers in Bryan County and Effingham County. We invite you to learn more about the National Association of Distinguished Counsel and visit Jeff’s online profile. From all of us at HLM, we offer a hearty “Congratulations!” to our partner, Jeff Harris. He is certainly deserving of this honor. Today’s op-ed, “Jurors defend $11.2 million verdict in Sarah Jones case,” was created by four of the jurors. We invite you to read their piece here. CNN recently reported about a dark trend occurring in nursing homes and assisted living facilities across the country: sexual abuse of elderly residents, who are often helpless to defend themselves against unwanted advances. It has been a long three years for the family of Sarah Jones. In 2014, the 27-year-old camera assistant was killed while working on live railroad tracks for the film Midnight Rider. Partner Jeff Harris has represented the Jones family for the last three years, and every single defendant has either been dropped or agreed to settle – except for one: railroad industry giant CSX. “No warning was given to the subsequent train that ultimately caused Sarah’s death … Moreover, despite its actual knowledge that the Midnight Rider cast and crew were on and around the railroad tracks and trestle bridge on Feb. 20, CSX never sent a representative to the location to secure the removal of individuals and equipment from the railroad tracks.” Nor did CSX slow down the train, as per the suit. Watch Steve Lowry’s video interview HERE. It’s a bill that supporters, including 1st district Congressman Buddy Carter say will put sense and fairness back into the issue of class action lawsuits. But not everyone is liking the idea behind H .R. 985, also referred to as the “Fairness in Class Action Litigation Act of 2017. We also heard from the National Association of Consumer Advocates which opposes the bill as well. “House supporters of H.R. 985 have failed to explain why this bill is necessary,” the group wrote in a letter to members of Congress. Apparently not all got the letter or at least the message from this consumer group. Congressman Carter told us in his statement he supports the legislation. Harris Lowry Manton LLP Partner Steve Lowry discusses several ways to lower the risk of fires and burn injuries in your home. HLM Partner Steve Lowry discusses the options an employee has if injured on the job. Dylann Roof, the accused church shooter who is on trial for his life in Charleston, S.C., announced on Monday that he is representing himself, against the advice of the federal judge presiding in the case. That’s a big mistake, according to several Atlanta legal experts, including HLM Partner Steve Lowry. Following a two-and-a-half-week trial, a Gwinnett County jury awarded more than $30.5 million to a mother and her child, who was left severely brain-damaged when a problem with blood flow through the unborn baby’s umbilical cord was not addressed promptly. Harris Lowry Manton LLP Partner Steve Lowry discusses traumatic brain injuries and the importance of seeking medical attention if one is suspected in his latest column. The city of Doraville has agreed to pay a local mother $2 million after her son hanged himself using a blanket inside the city’s jail. An internal investigation into Robton’s suicide found that jailers violated departmental policy by not looking into his cell, and that officers didn’t even attempt to contact its nursing contractor to dispense Robton’s medication for depression. Records show jailers failed to give Yoel Robton his antidepressant medicine and then didn’t check on him for several hours. City policy mandates employees check on inmates every 20 minutes. Channel 2’s Jodie Fleischer reports. First responders in our area got a nice meal Tuesday in Daffin Park, as part of National First Responders Day. The meal was provided by the Harris Lowry Manton Firm. It was all to show appreciation for their hard work. Harris Lowry Manton LLP hosted it’s 3rd Annual First Responders Appreciation Lunch in Daffin Park to honor the Coastal Empire’s first responders. Harris Lowry Manton partner Stephen G. Lowry recently secured a $40 million verdict on behalf of a police chief who was injured in the line of duty by a motorist under the influence of prescription drugs. Steve sits down with WSAV’s JoAnn Merrigan to discuss the case and the dangers of prescription pain killers. HLM’s team of accident attorneys secured a $40 million verdict on behalf of an injured police chief who was struck by a motorist in the line of duty. Read McNeeley’s cover story, Walker v. Tensor: Apportionment Redefined, in The Georgia Trial Lawyers Association’s 2016 Winter edition of The Verdict Magazine. HLM Partner Steve Lowry discusses record-breaking fine imposed by the National Highway Traffic Safety Administration (NHTSA) against Chrysler for failure to promptly recall dangerous defects in some of its vehicles. ATLANTA – Early Monday morning, eight people were killed and 10 sustained injuries in a church van accident on US 27 in Glades County, Florida. Upon initial investigation, it appears that the van ran through a stop sign, traveled across all four lanes of US 27, crossed a concrete median and ended up in a partially water-filled ditch. The Florida Highway Patrol said that the single-vehicle crash happened at 12:31 a.m. and there were no witnesses of the fatal accident. There were 18 total occupants in the van, all adults except for one 4-year-old child. The child is now in stable condition at a local hospital. Eight of the passengers were confirmed dead, the 10 others were rushed to four area hospitals. The cause of the crash is still unknown. The driver died and authorities in Glades County are conducting an investigation, however, they have not been able to interview the victims. Harris Lowry Manton, personal injury attorneys in Atlanta and Savannah, have experience in cases like this one. In 2013, in Chhetri vs. Michelin, Harris Lowry Manton represented several victims of a 15-passenger van crash, including one who was killed. The collision was caused by the failure of a defective tire on the van. In this case, the faulty tire caused the van to hit a guardrail and roll over. The wrongful death claim resulted in a jury verdict of $16.5 Million. The other cases were resolved outside of court. Unfortunately, 15-passenger van collisions are not as uncommon as we would all hope. Regular maintenance, safety checks, experienced drivers, number of passengers and appropriate weight loads are all important factors when traveling in these kinds of vehicles. If you or a loved one needs the help of one of our lawyers, please feel free to call today for a free consultation. Harris Lowry Manton partner Jeffrey R. Harris discusses with ABC’s 20/20 anchor Elizabeth Vargas the wrongful death claim filed on behalf of the parents of 27-year-old camera assistant, Sarah Jones. Jones was killed during the filming of Midnight Rider, a biopic on the life and career of Gregg Allman. Tokyo-based Takata Corp. learned some costly lessons when the delayed the recall of a product they knew was hazardous to the public. The defective parts of the product greatly impacted owners in coastal Georgia. The Daily Report and their sister publication VerdictSearch honored Harris Lowry Manton. Hairstylist, Joyce Gilliard, speaks out about getting hit by a train and watching camera assistant, Sarah Jones, get killed in the accident. Attorney Jeff Harris took on the lawsuit filed by Jones’ parents. Gregg Allman, famous musician, was dropped from the wrongful death lawsuit of Sarah Jones. Jones was a camera assistant killed on the set of “Midnight Rider.” Allman was a producer on the film. Preventable injuries kill more than 1 million children worldwide each year. Countries can prevent child deaths by taking law enforcement and safety precautions more seriously. Jones was a camera assistant on the film’s set. Jones’ parents are pursuing legal action on the film company, Gregg Allman and the train company involved in their daughter’s death. The Jones family secured the service of attorney Jeff Harris of HPL. Hollywood, along with the rest of the country, mourns the loss of 27-year-old Sarah Jones. Jones was a camera assistant on the film “Midnight Rider.” Jones was killed by a freight train on the set on Feb. 20. Her death has sparked controversy and conversations about set safety and who is responsible in the event of an accident. The campaign will focus largely on education. The courses will stress on-set safety. Sarah Jones was killed while filming a dream sequence for the movie “Midnight Rider.” The film is a biopic of rocker, Gregg Allman’s life. Jones was killed by a freight train that was involved in the scene. Others on set were severely injured. A jury in DeKalb County ruled in favor of a Bhutanese refugee killed in a van accident. The family was awarded $16.5 million. The wife of car accident victim wins her settlement vs. a major tire manufacturer. The wreck occurred on I-75 near Monroe County in 2011. The wreck resulted in the death of two and seriously injured another. A tire defect was said to be the cause. Narconon of Georgia, based in Peachtree Corners, is being sued by seven individuals accusing the company of fraud and breach of contract. 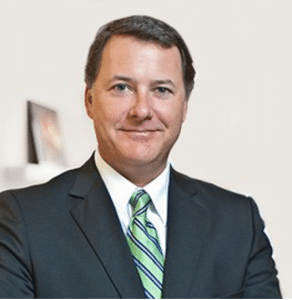 On behalf of the plaintiffs, Atlanta attorneys Harris Lowry Manton filed the class action lawsuit in Gwinnett County on June 4. Although Narconon states that it is drug rehabilitation, drug education and drug prevention program, the plaintiffs believe otherwise. Among other things, the plaintiffs allege that the Narconon misrepresented its validity, success rate, staff licensing and safety of housing: That’s despite $10,000 – $50,000 per person in enrollment fees. In addition, the lawsuit claims that Narconon fraudulently opened credit cards in the name of patients (or families) to finance the operation. Fraud, or misrepresentation, breach of contract, unjust enrichment, detrimental reliance, negligence per se, and several racketeering charges: theft by deception, mail and wire fraud, false statements to a government agency, credit card fraud, and identity fraud. Plaintiffs are seeking restitution of all monies paid to Narconon, and actual, general, and punitive damages to be determined by the court. Recently, insurance fraud investigators executed search warrants on the Peachtree Corners business, and seized computers, hard drives, and financial and medical records, according to WSB-TV. WSB-TV also reports that those officials are now working with Gwinnett County’s district attorney’s office to determine of criminal charges will be filed. Read the entire class action lawsuit by clicking here. If you think you have been aggrieved, contact Harris Lowry Manton. A DeKalb County judge denied most of a drug rehab clinic’s request for summary judgment in a lawsuit over the heroin death of a patient. State Court Judge Stacey Hydrick held in an order dated Jan. 31 that a jury should decide whether Narconon of Georgia was responsible for Patrick Desmond’s fatal overdose. The summary judgment motion by Narconon of Georgia was unusual because Hydrick last year had struck its answer as punishment for withholding discovery. Narconon had argued that, even though all well-pled facts must be admitted as true, Desmond’s family had failed to show that the rehab could have prevented his death. Hydrick granted summary judgment to Narconon on its request to bar punitive damages because she found that plaintiffs lack evidence that Desmond suffered conscious pain and suffering. Narconon of Georgia attorney Barbara Marschalk said she was pleased that Hydrick granted part of the motion, and she disagreed with the portions that were denied. “We recognize that some of the issues we raised were somewhat novel and may simply need to be raised, if necessary, on appeal at a later time. We are now continuing to work to prepare this case for trial,” said Marschalk, of Drew Eckl & Farnham. Hydrick upheld racketeering claims against Narconon because it’s a question of fact for a jury whether any of Narconon’s predicate acts proximately caused Desmond’s death. The plaintiffs accused Narconon of misrepresenting itself as a residential drug treatment facility when it was really an outpatient program, substituting Scientology teachings for legitimate rehabilitation services and failing to prevent drug and alcohol abuse. Is Narconon a Scientology Front? CLEARWATER, Florida — Whether it is cocaine, pills, or heroin, drug addiction is a major problem affecting every community in the country. One of the biggest worldwide treatment clinics, Narconon, has its east coast headquarters in Clearwater. However, USF Psychiatrist Dr. Ryan Estevez says he believes the program is plain and simple quackery. In addition to the east coast headquarters, Narconon has a new Suncoast Rehabilitation Center in Spring Hill. While most rehab programs say a 20 percent success rate is fantastic, Narconon claims an amazing 76 percent success rate on its website. After a legal battle, the Werninck family settled with Narconon and built a social hall for their church to honor their daughter’s memory with the money they received. He believes the techniques Narconon uses to cure drug addiction don’t work. The techniques reportedly include: five hours a day in the sauna; mega doses of vitamins; and, according to some former patients, staring at objects like an ashtray trying to get them to move. In addition to Kaysie Werninck, several other people have died while participating in the program, including Patrick Desmond of Brevard County. Desmond was under court order to go to a 24-hour residential rehab. He was allowed to go the Narconon Georgia facility after court administrator Lisa Mooty spoke with officials there. In a video deposition for the Desmond case, Mooty says she was deceived and was misled by representatives of Narconon. It turns out Narconon was only licensed as an outpatient clinic, and Patrick Desmond died as the result of a heroin overdose while riding in a car away from the facility. University of Tampa Professor Dr. David Krahl specializes in dealing with substance abuse and says Narconon has catastrophe written all over it. He is appalled the program doesn’t believe in the accepted practice of using medication, psychiatric counseling, or requiring licensed therapists to treat patients. He says people have ended up in the hospital when the detoxification was not managed correctly. And then there is the connection with the Church of Scientology. While Narconon maintains its own facilities and offices, critics say it never tells patients up front that the whole program is associated with the Church of Scientology. Smith does admit the program is based on the teachings of Scientology founder L Ron Hubbard, and the organization does receive funding from the church. Narconon’s full statement can be found at the bottom of the page. And several parents of patients who have died in the facility, like Keith Werninck, say they didn’t know of the Scientology connection, and would have never sent their loved ones to Narconon if they knew. “The Narconon drug rehabilitation program is a life skills model, founded in 1996 by heroin addict William Benitez in Arizona State Prison, based on his reading works by L. Ron Hubbard, humanitarian also known for Dianetics and Scientology. From its humble beginnings, the network of charitable or non-profit Narconon groups has expanded to comprise 40 countries on 6 continents. Since 1995, more than 34,000 thousand students have graduated the three to four month Narconon program. Every life saved is precious and hard won, requiring dedication from both Narconon staff and each addict desiring to get his life back under control. ATLANTA — A Channel 2 Action News investigation found a local drug rehab program lying to families and investigators, and now, new claims could be criminal. “It shatters everyone and it touches everyone,” Mary Morton said of her teenage daughter Emily’s addiction. She told investigative reporter Jodie Fleischer that Narconon of Georgia filed insurance claims, even after the family had already paid in full for Morton’s daughter’s care. Morton found Narconon’s rehab program on the Internet. She hoped it would be the last program they would need. “You’re a desperate parent. You want to save your child,” said Morton. The family handed over Emily’s driver’s license and insurance card for the program. Morton toured Narconon’s classrooms and eventually signed an agreement, outlining the total Narconon program service fee of $15,000. “We were instructed to bring two checks, one for the $15,000 for the program and one for the housing,” said Morton, adding that Narconon told her their insurance plan probably wouldn’t cover it. “But I also didn’t care, I would have paid anything,” she said. Seven months later, she logged onto her insurance company’s website and noticed bill after bill from Narconon, totaling more than $166,000. She said Narconon even billed for weeks her daughter was sent home for bad behavior, dozens of Sundays when Morton picked her up, and a full week after she left the program. “It was ridiculous, they billed $58,000 for doctor visits that she never saw a doctor,” said Morton. The doctor listed on all but one of Emily Morton’s bills was Narconon’s medical director, Casey Locarnini, who runs an urgent care clinic in Dunwoody. Locarnini declined Fleischer’s request for an on-camera interview, but said he did not know Narconon had billed insurance in his name until he heard it from Channel 2. One of Emily Morton’s bills listed Narconon’s former medical director, Dr. Lisa Robbins, who described her former role under oath in 2010. “I was hired by them to do the physicals on their patients,” said Robbins. But she said she never visited the Narconon facility. “Sounds like a problem to me,” said Georgia Insurance Commissioner Ralph Hudgens, after Fleischer showed him the evidence. Her insurance company did cover some of the payments but stopped in October. The company rejected claims saying, coverage was not available for her stay at Narconon, but could continue with outpatient providers. That shows it was under the impression Narconon provided inpatient care, but Narconon is only licensed for outpatient care. “If they have done it in one case, chances are they have done it multiple times,” said Hudgens. He said fraud investigators cannot charge an entire company. They would have to find a specific person who’s responsible. A conviction can bring two to 10 years in prison and up to a $10,000 fine. Fleischer questioned Narconon of Georgia’s executive director, Mary Rieser, last fall after uncovering evidence the program was advertising as a residential facility. “I’m telling you, I do not represent this as inpatient. How could I get away with that? Somebody comes in, they’re not going to see beds,” said Rieser. But state records showed 21 out of 28 patients told inspectors they were part of Narconon’s residential program. The housing portion cost patients $1,600 per month, and they were assigned four to an apartment in Duluth. “They didn’t say it’s just an apartment complex that anybody can live in. It’s ridiculous. They are preying on the most vulnerable of people,” said Morton. Narconon is now fighting to keep its state license. Rieser and Locarnini both resigned within the last two weeks. “Not one more person needs to be checked in there, not today, not tonight not tomorrow. It needs to stop now,” said Morton. She said her daughter is now is now midway through a different program that appears to be working. A drug rehab clinic being sued over the death of one of its patients is asking for summary judgment even though many of the plaintiffs’ allegations have been accepted as true because the judge struck the defendants’ answer. Narconon of Georgia argues that those admissions are irrelevant to the claim that it is responsible for a patient’s fatal heroin overdose. “The fatal flaw in the case would be the failure to establish that the acts that have been admitted proximately caused a 28-year-old man to take heroin,” said one of the defendants’ attorneys, Barbara Marschalk of Drew Eckl & Farnham. She spoke after a four-hour hearing Jan. 17 before DeKalb County State Court Judge Stacey Hydrick. Trial is scheduled to start Feb. 11. Jeffrey Harris, who represents the man’s parents, said the Norcross rehab facility had a duty to protect people in its care from drugs and alcohol. “It’s incredibly gutsy for someone whose answer has been struck to file a summary judgment motion,” said Harris, of Harris Lowry Manton DelCampo. In its memo supporting its summary judgment motion, the defense noted nine cases decided by the Georgia Court of Appeals in which plaintiffs weren’t entitled to default judgment even though defendants’ answers were struck or they failed to answer. A key question before Hydrick is whether the facts that stand admitted by default amount to a viable legal claim under Georgia law, according to Narconon of Georgia. Narconon said in court and in pleadings that Patrick Desmond, a former Marine, caused his own death by overdosing on heroin, not by any negligence or responsibility on the part of the drug rehab center in Norcross. Hydrick questioned Narconon about the extent of its duty to protect its patients. She took the motion for summary judgment under advisement. “I’m struggling with the fact that this is a facility holding itself out as a program that’s going to fix your problem,” Hydrick said in court. Desmond drank alcohol with Narconon employees and staff members at the off-campus apartment complex where they lived, and then he left the apartments with two former Narconon patients to buy heroin, according to the first amended complaint. But Narconon’s attorneys countered that the alcohol didn’t cause Desmond’s death—the heroin did. A medical examination after Desmond’s death showed he had a blood alcohol content of 0.157, Marschalk said. That level of intoxication is nearly double the 0.08 limit for driving in Georgia. Hydrick struck Narconon’s answer to the complaint Nov. 5, saying the defendant provided false and misleading discovery responses and deposition testimony in response to requests for evidence about claims that the rehab center ran an unsafe and unlicensed facility. The order didn’t find fault with Narconon of Georgia’s lawyers, instead blaming their client. As a result of the order, Narconon has admitted many allegations contained in the complaint arising from Desmond’s death June 11, 2008. A Florida drug court required Desmond to enroll in an in-patient, residential drug and alcohol rehab facility following his arrest for cocaine possession. Narconon represented that it met the drug court’s standards and that Desmond would be closely supervised, according to the defense’s recitation of facts admitted by Hydrick’s striking their answer. Narconon was not licensed to operate a residential program, and it maintained and illegally operated off-site housing, the statement of facts said. On the night of his overdose, Desmond drank beer and vodka with Narconon employees and staff members in a staff member’s apartment. After becoming intoxicated, he left the apartment to buy heroin, and the employees and staff members were aware of his intent to do so but didn’t intervene. A few hours later, emergency medical personnel found Desmond in a vehicle stopped on the shoulder of Interstate 285. He had no blood pressure or pulse and was pronounced dead at the hospital. Although those facts are admitted, Narconon’s attorneys say the actions of the facility and its employees didn’t result in Desmond’s death. Desmond knew that Narconon was an outpatient facility when he signed documents saying so, Narconon contends. Desmond couldn’t have been legally restrained from leaving the apartment to buy drugs. If the Narconon employee had alerted a supervisor or law enforcement, there’s no allegation of how that would have prevented Desmond’s death. Desmond injected the heroin that killed him, and Narconon had nothing to do with his actions, the defense says. “Persons who make the decision to consume alcohol (or illegal drugs) and inflict harm upon themselves cannot as a matter of law recover from third-parties for their resulting injuries. To allow Plaintiffs to recover against NNGa for Patrick Desmond’s self-inflicted, illegal drug overdose would reward his criminal conduct and is wholly inconsistent with Georgia’s public policy,” according to the memo by Marschalk and Drew Eckl colleagues Stevan Miller and Lisa Richardson. Admission of facts alleged in a complaint doesn’t preclude a defendant from showing that no recoverable claim existed, the memo said, citing Fink v. Dodd, 286 Ga. App. 364 (2007) and Grand v. Hope, 274 Ga. App. 626 (2005). A defendant may still show that allegations are factually unsupported or insufficient to support a cause of action. In most of the nine cases cited, the defense won on appeal because a default failed to establish a cause of action, recoverable claim or liability. But Harris said Narconon engaged in a series of deceptions that led to Desmond’s death. Among his claims: Narconon misrepresented itself to drug court authorities as being a residential and monitored program; it substituted Scientology teachings for legitimate rehabilitation services; and it failed to prevent drug and alcohol abuse at the apartment complex. Narconon of Georgia is a subsidiary, licensee or alter ego of California-based Narconon International, which operates drug rehabilitation facilities worldwide, according to the first amended complaint. Narconon International is a subsidiary of the Association for Better Living and Education, which oversees drug rehab and other activities of the Church of Scientology, it said. Narconon International’s attorneys, David Root of Carlock, Copeland & Stair and Jay Bennett of Alston & Bird, said their client and Narconon of Georgia are separate organizations connected by a licensing agreement. They argued that Narconon International isn’t responsible for the actions of Narconon of Georgia. Harris countered that Narconon International had an oversight role in the operations of Narconon of Georgia, and that the parent organization knew of problems at the apartment complex but didn’t correct them. The case is Desmond v. Narconon, No. 10A28641. Scientology drug rehabs appear to be collapsing like a line of fragile dominoes as government and health agency investigations press on. Today, the state Department of Community Health in Georgia has notified Narconon of Georgia it intends to revoke the clinic’s license for misrepresenting itself as a residential drug treatment facility. Facing another wrongful death lawsuit trial to begin February 11, 2013, Scientology’s drug rehab empire is under fire and facing scrutiny of epic proportions globally. If the Georgia state Department of Community Health succeeds in the revoking of Narconon of Georgia’s state licence, this would be a staggering blow to Scientology. This would be the fourth Narconon closure in recent years, including, Narconon Canada Continental, Narconon United Kingdom, Narconon Trois-Rivieres in Quebec, and now Narconon of Georgia. Also in early November 2012, Judge Stacey Hydrick sanctioning Narconon of Georgia when Narconon executive Director Mary Rieser was caught lying under oath in as many as ten depositions. News of Judge Stacey Hydrick sanctioning Narconon of Georgia Narconon Executive Director Mary Rieser was caught lying under oath in as many as ten depositions, created an outcry from many. Judge Hydrick concluded that, when she asked Riser on the stand about the omissions and false declarations, Narconon’s leader was simply not credible in her responses – – failing to tell the truth. Attorney Jeff Harris, representing the family of Patrick Desmond who died in 2008 while enrolled at Narconon of Georgia, says the ruling for sanctions is so strong; lawyers often refer to it as the civil-case version of the death penalty. Following numerous complaints that Narconon of Georgia was operating or controlling a residential facility for clients, the state of Georgia has conducted at least 11 probes since 2002, but the department declined comment on its latest investigation, saying it is still processing Narconon of Georgia’s response. ATLANTA (AP) — Three Atlanta-area counties have filed a lawsuit claiming that British bank HSBC cost them hundreds of millions of dollars in extra expenses and damage to their tax bases by aggressively signing minorities to housing loans that were likely to fail. The Georgia counties’ failure or success with the relatively novel strategy could help determine whether other local governments try to hold big banks accountable for losses in tax revenue based on what they claim are discriminatory or predatory lending practices. Similar lawsuits resulted in settlements this year worth millions of dollars for communities in Maryland and Tennessee. Fulton, DeKalb and Cobb counties say in their lawsuit, which was filed in October, that the housing foreclosure crisis was the “foreseeable and inevitable result” of big banks, such as HSBC and its American subsidiaries, aggressively pushing irresponsible loans or loans that were destined to fail. The counties say that crisis has caused them tremendous damage. The city of Atlanta straddles Fulton and DeKalb counties, while Cobb County is northwest of the city. The counties say their tax digests — which represent the value of all property subject to tax — have declined from a high point in 2009. Fulton’s tax digest has dropped about 12 percent, from $32.7 billion to $28.7 billion; DeKalb’s has dropped about 20 percent, from $22 billion to $17.5 billion; and Cobb’s has dropped about 15 percent, from $25.5 billion to $21.3 billion, the lawsuit says. That reduces their ability to provide critical services in their communities, the lawsuit says. In addition to reducing tax income, vacant or abandoned homes that are in or near foreclosure create additional costs for the counties, the lawsuit says. Their housing code and legal departments have to investigate and respond to code violations, including having to board up, tear down or repair unsafe homes. They have to deal with public health concerns, such as pest infestations, ruptured water pipes, accumulated garbage and unkempt yards. And fire and police departments have to respond to health and safety threats. The counties are asking the court to order the bank to stop its behavior and to take steps to prevent similar predatory lending in the future. They are also seeking financial compensation for the damages they’ve suffered and punitive damages to punish the bank for its “willful, wanton and reckless conduct.” The counties say the financial injury they’ve suffered is in the hundreds of millions of dollars. Andrew Sandler, a lawyer for HSBC and its subsidiaries, said he couldn’t comment on the case. A federal judge has given the bank until Jan. 25 to respond to the counties’ complaint. Lawyers for the counties declined interviews on the case, but one of them, Jeffrey Harris, said in an emailed statement that they are continuing to investigate other banks and could file additional complaints. Similar suits were filed against Wells Fargo by the city of Memphis and surrounding Shelby County in Tennessee in 2009 and by the city of Baltimore in 2008. Those suits were settled earlier this year. Both settlements included $3 million to the local governments for economic development or housing programs and $4.5 million in down payment assistance to homeowners, as well as a lending goal of $425 million for residents over the subsequent five years, according to media accounts. “Communities with high concentrations of such potential borrowers, and the potential borrowers themselves, were targeted because of the traditional lack of access to competitive credit choices in these communities and the resulting willingness of FHA protected minority borrowers to accept credit on uncompetitive rates,” the lawsuit says. Before the beginning of the subprime lending boom in 2003, annual foreclosure rates in metro Atlanta averaged below 1 percent, but U.S. Department of Housing and Urban Development data show that the estimated foreclosure rates for each of the three counties now average more than 9 percent and are as high as 18 percent in the communities with the highest percentages of minority borrowers, the lawsuit says. “If you can show that you yourself have suffered harm by an illegal act under the Fair Housing Act, even if you are not the target, even if you are not the intended victim, you can still sue to stop the behavior and to recover any damages that you can prove you suffered because of the violation of the Fair Housing Act,” said Steve Dane, a lawyer whose firm was involved in the Memphis and Baltimore lawsuits. “Politicians may not want to go up against the banks,” she said, adding that there will likely be other local governments that give this a try but she doubts the number will be high. But Jaime Dodge, an assistant law professor at the University of Georgia, says she thinks more cases are likely, at least in the short term as municipal governments continue to feel the squeeze of a tight economy and seek ways to refill their coffers. They may try to test federal courts in different parts of the country, she said. Successes in multiple jurisdictions could lead to more attempts, but if courts start knocking the suits down that would likely discourage them, she said. DEKALB COUNTY, Ga. — The family of a man who died while under the care of a local drug treatment facility won a huge court victory this week. DeKalb County State Court Judge Stacey Hydrick issued sanctions against Narconon of Georgia, finding the program’s director lied under oath and hid evidence. “There’s really nothing else that a judge can do that’s stronger than what the judge has done here,” said attorney Jeff Harris. Harris is representing the family of Patrick Desmond, who died in 2008 after trying heroin for the first time. Desmond was enrolled in Narconon of Georgia for alcohol addiction, but got drunk with a housing monitor, and left with two program flunkees. Later, the Desmonds found out the Gwinnett facility is only licensed as an outpatient program. During our investigation, we even caught Narconon‘s parent organization, Narconon International, advertising the program as residential on its website. The Desmonds say the Georgia program director, Mary Rieser, lied to them. “If you can’t get those documents and can’t get that evidence, you can’t prove your case. The only way to make the punishment fit the crime is to basically deem the case as being admitted as true,” said Harris. The judge ordered Narconon of Georgia’s response to the initial complaint stricken from what the jury will be able to consider. That means the facility’s attorneys cannot deny that it misrepresented itself, that it operated an illegal residential facility, and that negligence led to Patrick Desmond’s death. Harris says the ruling for sanctions is so strong, lawyers often refer to it as the civil-case version of the death penalty. It doesn’t bring Patrick back, but his parents say they don’t want any other families misled. “At the end of the day, they’ve still lost their son. But all they really wanted in this case was justice, and I think we’re getting a lot closer to getting that,” said Harris. He said he will still introduce evidence to prove the level of damages he wants to the jury to award. He will also have to prove the claims made in a second complaint, which alleges racketeering, or a pattern of activity by Narconon of Georgia for financial gain. Narconon of Georgia could still appeal the judge’s ruling for sanctions before the trial in February, or after the verdict. Fleischer’s investigation also exposed how state inspectors had failed to crack down on the program for more than a decade. The Department of Community Health has since opened a new investigation to review all of the evidence from the court case, including this new finding by the judge. ATLANTA — Three Georgia counties are suing a British bank, claiming that predatory lending harmed property owners as the housing market collapsed. Cobb, DeKalb and Fulton Counties filed the lawsuit Thursday against London-based HSBC in U.S. District Court in Atlanta. Three Georgia counties are suing a British bank, claiming that predatory lending harmed property owners as the housing market collapsed. Cobb, DeKalb and Fulton Counties filed the lawsuit Thursday against London-based HSBC in U.S. District Court in Atlanta. The lawsuit alleges that HSBC and its affiliates abused minority borrowers by putting them into mortgages they couldn’t afford, or gouging consumers with high-priced loans and high fees when they might have qualified for cheaper mortgages. A spokesman for HSBC in New York did not immediately return a message seeking comment from the newspaper. ATLANTA —Channel 2 Action News has learned three metro Atlanta area counties are taking on a major bank, saying predatory lending has hurt neighborhoods and cost tax revenue. Cobb, DeKalb and Fulton counties filed a lawsuit Thursday against HSBC, saying damages are in the hundreds of millions of dollars. “It is the first instance in Georgia of the local governments, on behalf of the people, saying, ‘We are all victims of the mortgage foreclosure crisis,’” said Emory professor Frank Alexander, who specializes in real estate finance. Thousands of boarded up homes with overgrown lawns are signs of the mortgage meltdown still hammering metro Atlanta neighborhoods. The lawsuit alleges predatory and discriminatory mortgage lending by HSBC encouraged foreclosures, which lower values for all homeowners. The suit, filed in federal court, makes claims under the Fair Housing Act. “The lawsuit alleges that [HSBC] made loans that were racially discriminatory; that the terms of the loans they made to minorities or persons of color were different than loans they were making to other people,” Alexander said. Records show HSBC owns more than 160 properties within the three counties but has taken over roughly 3,500 since 2006. The company’s foreclosure totals are likely much higher, since most banks only keep a portion of the properties on which they foreclose. HSBC also acquired a company, called Household Finance Corporation, known for questionable lending practices in Atlanta. “Household Finance was known to be originating a lot of mortgages which everyone would classify as a predatory loan with very low likelihood that it would live as a mortgage more than a few months or years before it goes into default,” said Alexander, who believes this lawsuit could lead to others if evidence released in the case offers new details about bad loans. “If this litigation continues and the information becomes disclosed at a public trial, all borrowers that had Household Finance loans in metro Atlanta should be watching that data with a great deal of interest,” said Alexander. Defaulted loans often lead to empty homes, with plummeting values for surrounding residents, like Nathaniel Davis. “These are some nice houses, and some of them are going down. Folks have trashed them out,” said Davis of his southwest Atlanta neighborhood. Alexander said lawsuits under the Fair Housing Act are usually filed by the individuals who were wronged, not county governments. He said the plaintiffs will have to overcome that hurdle. A spokesperson for HSBC did not return Channel 2 Action News’ calls. Three major metro Atlanta counties filed suit Thursday claiming predatory lending by a British bank caused hundreds of millions of dollars in damage through lost tax revenue from eroded property values that followed the housing collapse. Cobb, DeKalb and Fulton counties sued London-based HSBC in U.S. District Court in Atlanta, claiming HSBC and affiliates abused minority borrowers by putting them into mortgages they couldn’t afford, or gouging consumers with pricey loans and high fees when they might have qualified for cheaper mortgages. The suit is the latest example of counties or municipal governments attempting to assign blame and seek damages for an overheated housing market that contributed to the Great Recession, which put the squeeze on communities nationwide. The complaint was filed under the federal Fair Housing Act and is likely unprecedented in Georgia, though at least two other U.S cities have filed similar suits against another major bank. The suit seeks unspecified damages. A spokesman for HSBC in New York did not immediately return a message seeking comment. The suit contends discriminatory practices caused the foreclosure crisis, which disproportionately affected minority borrowers. Predatory loans resulted in higher rates of foreclosure, which depressed overall housing values and reduced property tax revenue. As a result of depressed tax collections, cities and counties across metro Atlanta have grappled with service cuts — and in some cases property tax rate increases — to stay above water. HSBC generated billions of dollars in fee income nationally during the housing boom by using improper sales tactics to lasso African-American and Hispanic borrowers into subprime loans, the lawsuit contends. Cobb, DeKalb and Fulton allege that HSBC’s lending practices encouraged loan volume over quality, and the bank enticed new customers by offering credit cards, car loans and other consumer credit lines through targeted mailers and other marketing efforts. HSBC used these marketing efforts to “up-sell” clients to high-cost mortgages that were more lucrative to HSBC. Foreclosures as a result of HSBC and other banks’ actions were a foreseeable outcome, the lawsuit states, and have left the metro counties with a glut of foreclosed and abandoned houses. Since the foreclosure crisis started, banks have refused to take ownership of vacant homes, leading to a “growing shadow inventory” of properties awaiting repossession, which further harms the counties, according to the suit. The counties also cite foreclosure abuses, including the use of faulty documentation. “We are seeing so many lawsuits because the banks got sloppy and abusive at times in their mortgage practices and their foreclosure practices. Now they have to pay for it,” said Kevin Jacques, a finance professor at Baldwin-Wallace College in Ohio and a former economist and regulator for the U.S. Treasury Department and the Office of the Comptroller of the Currency. Georgia ranked sixth nationally in foreclosure rate in September, according to RealtyTrac, a real estate research firm. During the housing boom, lenders bundled subprime loans into securities and sold them to other banks and investors. The implosion of this riskier mortgage market contributed to the global financial collapse. The continued moribund housing market and national high joblessness has resulted in elevated foreclosure rates across the income spectrum. Redlining is a term describing systemic denial of or overcharging for credit or other services in minority areas. Reverse redlining is when lenders target minority communities by charging higher fees or offering inferior terms than what a borrower in a majority-white community with a similar credit profile might receive. Add-on fees, higher interest rates and restrictive terms can put borrowers at higher risk of default. These loans are often resold to other investors or banks, passing along the risk of foreclosure to parties other than the loan originator, which means the original lender has less skin in the game. Baltimore and the Tennessee cities also claimed in their suits the actions of Wells Fargo resulted in a host of ills to their jurisdictions, including increased foreclosures, blight and crime. Wells Fargo settled both cases this year. HSBC entered the U.S. subprime mortgage market in a big way with its 2003 acquisition of Household Finance Co. The British bank eventually became among the nation’s largest subprime lenders. Like Bank of America’s struggles with its purchase of Countrywide, Jacques said, acquisitions made during the housing boom or during the economic crisis have come back to haunt major banks now facing minefields of litigation. Jacques, the former Treasury economist, said he expects more cases to arise like this one following the recent $25 billion national mortgage and foreclosure settlement. ATLANTA — Patrick Desmond’s mother describes him as kind-hearted and good-natured, but the former Marine died at 28-years-old, losing a battle against alcoholism. Desmond’s death in 2008 came as he took part in a worldwide drug treatment program, Narconon, already under fire for other patient deaths and ties to the Church of Scientology. Now a Channel 2 investigation is raising questions about the Narconon program and its license in Georgia. “As a parent, you’re desperate. You want to get your child help. And besides, being court-ordered, my son wanted the help. He knew he needed the help,” Desmond’s mother, Colleen Desmond, said. Desmond told Channel 2 investigative reporter Jodie Fleischer they found Narconon of Georgia on the Internet. Colleen Desmond toured the classrooms in Norcross and visited the apartments at One Sovereign Place off Roswell Road. “We were assured all along the line, this was an inpatient situation,” Desmond said. Desmond said she had spoken to Mary Rieser, executive director of Narconon of Georgia. Patients were supposed to be monitored 24 hours a day while learning communication skills, spending hours detoxing in a sauna, and taking mega doses of the vitamin niacin, Desmond said. The treatment plan was espoused by Church of Scientology founder L. Ron Hubbard. Desmond told Fleischer that at the time, she didn’t know anything about that plan, or that her son Patrick was drinking and doing drugs with students and staff in those apartments. Then she got a devastating phone call. Narconon‘s executive director said she can’t talk about Patrick Desmond’s case because his family is suing her program after learning it is only licensed for outpatient treatment. “I will never knowingly accept somebody here if I know they’ve been ordered inpatient because we’re not,” Rieser said. In a deposition, the Desmonds’ attorney, Jeff Harris, questioned the Florida drug court administrator from Patrick’s case, Lisa Mooty. “Did she (Rieser) represent to you that Narconon of Georgia was a residential rehabilitation facility?” Harris asked in the deposition. “She did indeed,” replied Mooty, adding that she never would have signed off on an outpatient program for Patrick Desmond. Randy Taylor, of Tennessee, testified that Rieser gave him the same sales pitch when his son, Brad, was ordered by a court to get one year of inpatient treatment. “She said, ‘That’s not a problem. That’s what we do here.’ She said, ‘We have inpatient facilities here,’” Taylor testified. But several months into his time at Narconon of Georgia, Brad Taylor had already transitioned to a staff member. He was the housing monitor who got drunk with Patrick Desmond at the apartments, the night Desmond overdosed, Taylor said in court proceedings. During an unannounced inspection in March, eight out of eight patients interviewed by state inspectors said they were in Narconon‘s “residential program.” During a follow-up inspection in April, 21 out of 28 patients told inspectors they were residential. Two of those patients were under court orders and most were from out of state. Fleischer asked Rieser why those patients would tell state inspectors they were in a residential program, if they were not. There’s been a lot of attention focused on Scientology’s flagship drug rehab in Oklahoma — called Narconon Arrowhead — because of recent deaths there and investigations by multiple local and state agencies. But as we indicated previously, there are also serious questions being asked about Narconon’s facility in the Atlanta area. The 2008 death of Narconon patient and employee Patrick Desmond produced a lawsuit by his family, and documents in that case provide a startling look at the deceptions that appear to be a part of the Narconon business model. We now have court testimony from the lawsuit which shows that Narconon deceived a Florida drug court in order to keep quiet that it didn’t have licensing to house patients. The Florida drug court, meanwhile, tells the Voice that it now knows it was lied to. And it isn’t happy about it. Patrick Desmond was sent by his family to the Atlanta drug rehab center after being sentenced for six months by the Brevard County, Florida drug court. Desmond’s sentence required that he be sent to an in-patient facility, somewhere he would be housed and closely monitored as he fought his addictions. What the Desmonds and the Brevard County court didn’t know was that Narconon in Georgia has never been licensed to run that kind of facility. By state law, it can’t house anyone, or provide around-the-clock monitoring. Its licensing is strictly for an out-patientfacility. Its in-patient rehab centers, however, that really bring in the big money. Narconon centers that house clients typically charge about $30,000 for a three-month program. In Atlanta, however, Narconon’s executive director Mary Rieser had tried and failed to get the kind of licensing that would allow her to house patients at the rehab facility. So instead, court records show, she asked a Scientologist couple to lease a set of apartments at a nearby complex called One Sovereign Place, and then began placing four Narconon patients in each apartment there. Prospective clients, like the Desmonds, were not told that Rieser had no license to be running an in-patient facility — but they were charged like they were sending their loved ones to a legitimate in-patient rehab. What’s worse, investigations by Narconon Georgia’s parent company, Narconon International, found that drug use was rampant at One Sovereign Place, with employees (who tended to be former patients) joining in. Desmond, court records suggest, was using Oxycontin at the apartment complex, and one night went out with a friend, tried heroin, overdosed, and died. The Desmond family, in their lawsuit, wants to tell a jury that Narconon was negligent by allowing their son to be so unsupervised at the unlicensed housing complex. We wondered, however: how has Narconon Georgia convinced drug courts to send patients to a supposedly in-patient facility, while not arousing the interest of Georgia state officials, who consider it an out-patient rehab? We got an answer to that question in the deposition of a former Narconon Georgia employee, Allison Riepe, which was made public this week. Like other Narconon employees, Riepe was a former patient and a recovering addict herself. She had numerous jobs at the center, but at the time Desmond was there in 2007 and 2008, she was a legal liaison who handled all the communication with drug courts. Riepe was asked about the change. “OK, So you knew that Patrick was sentenced to an in-patient facility?” asked attorney Rebecca Franklin. Franklin then shows Riepe another letter with the word “out-patient” removed from its description of the facility. We called Narconon Georgia and asked to speak with Mary Rieser. We were told she was busy, and we left our information. She didn’t call us back. Q: Nobody took the word “out-patient” off of the letterhead that left some concern that if Narconon held itself out as an out-patient rehab facility that the drug court down there just wouldn’t approve of Patrick being enrolled? Q: So the decision about the letterhead that was used was just happenstance? Yesterday, I talked to Lisa Mooty at Brevard County’s drug court, who oversaw Desmond’s case. She says his death has already produced a result there: Brevard County no longer allows families to send sentenced defendants to rehab centers out of Florida. Most go to a local facility run by the state, she says. And now, Brevard County is well aware of Narconon. “We have never sent anyone to one since, nor do we intend to,” she says. After Desmond died, his body was brought back to Florida. “I attended the funeral,” Mooty says. I asked her how she felt about being deceived by Narconon. “It’s shameful on their part,” she says. I asked her if she was aware that Narconon has facilities in Florida — was it possible that drug courts there could send patients to those rehab centers? As for Georgia’s licensing authorities, the state recently went through a reshuffling of its human resources department, and it’s taken me a while to track down the particular body that oversees the Narconon facility. But I have identified them now, and I put in a call yesterday, leaving a detailed message about the Desmond case and Narconon Georgia’s licensing. I’ll let you know how they respond. Two more Georgia judges have ordered new trials in wrongful death product liability suits won by Ford Motor Co. because, the judges said, the auto maker deliberately withheld information about insurance policies that might help pay large verdicts. Recent decisions by judges in Marietta and Augusta followed the example of Cobb County State Court Judge Kathryn J. Tanksley, whose courtroom was the initial stage for plaintiffs lawyers claiming that Ford has withheld details of their insurance coverage. Georgia law requires that jurors be screened for relationships with all parties to a lawsuit, including insurance companies that could be called upon to pay a judgment resulting from the trial. Last year, Tanksley struck part of Ford’s defense in a wrongful death case and tossed its lead lawyers after the lawyers acknowledged their client carried verdict insurance—even though it had denied it during discovery. Ford’s lawyers won’t discuss the new trial orders, but they are fighting them with interlocutory appeals. “All we can really say at this time is the Georgia Court of Appeals has accepted two of the cases for appeal and is considering the third. We are confident the appellate court will reinstate the jury verdicts,” said Ford spokeswoman Marcey Evans. Benjamin E. Baker Jr., who will get a second chance to try his client’s wrongful death and personal injury product liability case against Ford before Tanksley, acknowledged that Georgia’s rules are different. All three new trial orders stem from fireworks in Tanksley’s courtroom on June 14, 2011, during the trial of another product liability wrongful death case. But after plaintiffs lawyers from Harris Lowry Manton DelCampo pressed the issue, Michael R. Boorman of Huff, Powell & Bailey, Ford’s local counsel, delivered the news to Tanksley that his client had excess verdict insurance coverage. The Ford lawyers said they learned about the insurance policies from in-house counsel by email that morning. The number of policies disclosed covering different levels of multi-million verdicts grew from a few to a dozen during the trial week. “In no way did I intend to mislead this court,” Ford’s lead counsel D. Alan Thomas of Birmingham, Ala.-based Huie, Fernambucq & Stewart told Tanksley. His co-counsel, Paul F. Malek, told the judge the lawyers made a “good faith inquiry” about insurance coverage and believed Ford had no policies until that morning. Tanksley revoked pro hac vice orders for Thomas and Malek and ordered Boorman to take over as lead counsel. The plaintiffs asked the judge to strike Ford’s entire defense over the failure to disclose insurance coverage. In a daylong hearing on the motion, a Ford in-house lawyer and a Ford insurance specialist testified in a video deposition that the company has a policy of not disclosing insurance during discovery. After hearing a defense by Susan A. Cahoon of Kilpatrick, Townsend & Stockton—who is representing Ford in at least one appeal of a retrial order—Tanksley sanctioned Ford by precluding its defense on one issue, failure to warn of a seatbelt defect which the plaintiffs alleged caused the death of 15-year-old Deebs Young. Ford settled the case for an undisclosed amount before the plaintiffs finished presenting their case. Last June’s case was Young v. Barrett and Ford, No. 2010 A 4415-4 (Cobb County State Court). The case in which Tanksley ordered a retrial was Conley v. Ford, No. 2007 A 15560-4 (Cobb County State Court). Clayton’s case is Reese v. Ford, No. 2003 A 10881-1 (Cobb County State Court). Brown’s case is Blanchard v. Ford, No. 2002-RCCV-591 (Richmond County Superior Court). Verdict in day care drowning contested – Insured claims it represented only 1 of 3 defendants found liable for $9.8M verdict. Plaintiffs’ lawyers who secured a $9.8 million verdict for the parents of a toddler who drowned at an unlicensed day care center operating in a private home said they have an unusual challenge in collecting the money. They argued that Cincinnati Insurance Company, the carrier of the homeowner’s insurance policies, is responsible for the entire judgment, even though the jury said the homeowner was only 22 percent liable. Not so, said Cincinnati’s Associate Counsel James T. Perry, who defended the homeowner at trial. “We disagree with that portion of the verdict that applies to my client, Terry Moon. However, we respect the jury system. No decision has been made on an appeal,” Perry said. A Gwinnett County State Court jury last month found in favor of the plaintiffs, parents Kemi Green and Gbolahan Bankolemoh, against all three defendants. The case was tried before Gwinnett County State Court Judge John F. Doran Jr. The jury said Tanya S. Moon, who was baby-sitting a group of children at the time that 23-month-old Abiola Bankolemoh fell into a backyard swimming pool, was 50 percent responsible. The jury said Shawn D. Moon, Tanya’s husband, was 28 percent responsible. Terry Moon, Shawn’s father and the owner of the home, was found 22 percent responsible. The complaint accused the defendants of negligent supervision, failing to maintain their pool in conformance with local codes and failure to keep their premises safe, as well as wrongful death and bad faith. Perry contended that only Terry Moon is his client, but the plaintiffs’ lawyers disagreed. “Tanya and Shawn were covered under the homeowner’s and umbrella [policies]. All three should have been defended,” said Harris. He noted that Cincinnati Insurance initially defended all three Moons and then dropped Tanya and Shawn before the trial. Tanya and Shawn went to the four-day trial without counsel, Harris said. Perry declined to discuss the details of the case. An insurance defense attorney not involved in the case, William D. Strickland of Temple Strickland Dinges & Schwartz, said policies are worded differently and that residential policies in particular have more exclusions for business use. “It’s going to come down to the policy language,” Strickland said. He added that even if an insurer chose to defend a case, that wouldn’t mean it had a “duty to indemnify” or pay the judgment. Clearly, it appears, Cincinnati made a determination that they had neither a duty to defend or to indemnify. Cleveland, who initiated the lawsuit and brought in Harris, said his clients wanted the trial to reveal what really happened to their son, but many questions weren’t answered. Tanya Moon, who faces criminal charges about the boy’s death, cited the Fifth Amendment in declining to answer a number of questions while she was on the witness stand. “Unlike a criminal proceeding, in a civil case, if a witness takes the Fifth, the jury may assume the answer would have been harmful,” Cleveland said. Cleveland and Harris said jurors told them they were upset that a day care facility could be so negligent. The plaintiffs’ lawyers said Tanya Moon had been working the night shift at a local Wal-Mart and then coming home in the morning to start babysitting. They said the children tried to wake Tanya on the day Abiola disappeared but weren’t able to. They said it was Abiola’s 3-year-old brother who discovered the body in the above-ground pool, which was accessible from a deck behind the house. The plaintiffs’ lawyers said no one knows exactly how long Abiola was at the bottom of the pool—filled with “dark, nasty water”—before his brother was able to summon help. Both Abiola and his brother had been staying with Moon for about a year while their mother worked as a pediatric home-care nurse, Harris and Cleveland said. She had placed them there instead of in a larger day care center because she believed the home environment would be better for them, they said. The case is Green v. Moon, No. 09C09633-6. No disclosure in case of what led to drowning. Criminal trial awaits one operator; charges dropped against another. Jurors awarded Abiola Bankolemoh’s parents $9.85 million, but they still don’t know exactly how their toddler came to drown while in the care of an unlicensed Gwinnett County day care. “That’s one of the most frustrating things; the parents still don’t know really what happened that day,” said Jeff Harris, who with attorney R. Alan Cleveland represented Kemi Green and Gbolohan Bankolemoh against day care owners Tanya and Shawn Moon. Tanya’s father in-law, Terry Moon, was also named in the lawsuit as he owned the property in Buford. Two-year-old Abiola drowned in an unattended pool on March 19, 2009. The Moons did not return calls seeking comment Monday. Harris said Tanya Moon avoided answering questions about what happened by invoking her Fifth Amendment right against self-incrimination during the four-day civil trial. Abiola’s tragic demise is another example of numerous disturbing occurrences The Atlanta Journal-Constitution found in examining nearly 500 major incidents at Georgia childcare programs over the past five years. During that time, 239 children were hurt and eight died. Harris said the Moons claimed they were state-licensed and showed his clients paperwork to back it up. However, the state Department of Early Care and Learning has no record of Tanya Moon as a licensed provider, according to its spokeswoman Stacey Moore. She was operating an unlicensed facility, violating a state law that requires day cares to register with the state when caring for more than two children who are not their own. Tanya Moon’s role in the tragedy is still unclear, Harris said, adding “she’s the only one who knows exactly what happened that day.” Shawn Moon was not at home. Abiola and his older brother had attended the day care for about a year before his death. Harris believes Tanya Moon may have been asleep when Abiola wandered outside. She worked a night shift at Walmart before coming home to operate her day care, he said. Abiola’s brother, 3 at the time of the drowning, testified during discovery that he saw his brother fall into the pool and tried to wake Tanya Moon, Harris said. The pool was not in compliance with code and had several unattended entrances, Harris said. Rand Csehy, the Moons’ defense attorney, said his client had gone to the restroom and while preoccupied, another child opened the door, allowing the little boy to venture out. Tanya Moon was initially charged with misdemeanor reckless conduct and second-degree cruelty to children, which could have resulted in a maximum prison sentence of 11 years. However, a grand jury indicted her on a misdemeanor, contributing to the delinquency of a minor, which carries a maximum fine of $1,000 or a maximum sentence of 12 months, or both. Charges against Shawn Moon were dropped. Harris expects his clients will collect the full amount of the settlement, which a Gwinnett County State Court jury awarded late Thursday, from Terry Moon’s property insurance company. Staff writer Tim Eberly contributed to this report. The Ford Motor Co. product liability and wrongful death trial delayed for eight days by problems that led the judge to toss jurors and the company’s lead lawyers started over Wednesday with a new jury and debut performances of sorts by two attorneys in opening statements. For plaintiffs Janice and Donald R. Young II, whose 15-year-old son died after a rollover crash in a Ford Explorer, J. Antonio DelCampo of Harris Lowry Manton DelCampo made his first opening statement since he stepped down in March after nine years as a DeKalb County State Court judge. Speaking for Ford was Michael R. Boorman of Huff, Powell & Bailey, who had been local counsel assisting Ford’s lead lawyers until June 14, when Cobb County State Court Judge Kathryn J. Tanksley revoked the Alabama-based lawyers’ pro hac vice orders. Boorman and his associate, Audrey K. Berland, protested that they were not prepared to try the case alone, but the judge dismissed their objections with praise for their past performances in her courtroom. The revocation came after a full day of voir dire when the defense team said Ford unintentionally had withheld information about the company’s insurance coverage—information required by Georgia law to be disclosed so that jurors could be screened for potential financial conflicts of interest. DelCampo asked the judge to punish Ford by striking its entire answer to the suit, but Tanksley on Monday sanctioned Ford by precluding the company from defending itself on one of the plaintiffs’ claims: failure to warn of a seat belt danger. On Tuesday jury selection began anew, and the panel was chosen Wednesday morning and sent to lunch, while the lawyers continued arguing over logistical issues. Boorman renewed Ford’s objections to the issue preclusion and also sparred with plaintiffs’ counsel and the judge over the exact wording of instructions to the jury regarding the precluded issue: Ford’s duty to warn of a seat belt danger. Keeping that visitor out presents a challenge for the defense. In the opening statement and with early witnesses, the plaintiffs’ counsel portrayed Deebs Young as having a lasting effect on people. A teammate and a coach from the hockey team for which Deebs was playing the day he died described him as an honor student, a gifted athlete and a charismatic leader who once approached a rival hockey team from Florida in a hotel lobby and turned a tense situation into a celebration of new friendship. With instructions from the judge as well as Ford’s defense to keep sympathy out of the decision, the jury will for the most part be focusing on the allegation of a seat belt defect. The Explorer’s seat belt was front and center literally in the jury’s view during the start of the trial. The plaintiffs’ team wheeled in an actual seat with the belt and a roll bar and parked it in front of the jury during DelCampo’s opening. DelCampo told the jury that the shoulder portion of Deebs’ belt did not lock and hold his torso in place as it should have in the crash. Instead, DelCampo said, the belt spooled out 20 inches. DelCampo also told the jury that the other two occupants of the Explorer—the driver and co-defendant David R. Barrett, and Barrett’s son Josh, Deebs’ hockey teammate—were not wearing their seat belts and survived because they were ejected during the rollover. “The one that was wearing a seat belt—the one that was doing the right thing—perished, and perished in a terrible way,” DelCampo said. Boorman suggested the death could have happened because Deebs either had the seat reclined or had the shoulder belt behind him rather than in front. “This horrible abdominal injury can only occur if you load only one belt,” Boorman said. Boorman also shifted the blame to the severity of the crash and the driving of the co-defendant, Barrett. Boorman said he plans to call a witness who will testify that Barrett’s Explorer pulled into the grassy median on Interstate 85 to pass a minivan that was set on cruise control at 80 miles per hour. It was after the Explorer re-entered the roadway that it began to slide, eventually rolling over across the pavement, into a guardrail and down an embankment. Mystery surrounds the cause of the crash because the driver, Barrett, sustained a serious head injury when he was ejected and has no memory of it, according to his attorney, Richard W. Brown of Fain, Major & Brennan. Brown said in his opening that he plans to prove Barrett was forced off the road by an unknown “jackass” who was seen driving recklessly. Over this matter, Brown tangled with the plaintiffs’ first witness, Cpl. David Lunsford of Habersham County, an officer with the Georgia Department of Public Safety Specialized Collision Reconstruction Team, who concluded in an official report that Barrett was driving recklessly. In a 45-minute cross examination, Brown raised his voice to the trooper, questioning his credentials, education and conclusions. The first day of testimony ended at 6 p.m. The judge said she will ask the jury to work on Saturday to try to make up for lost time. The lawyers anticipated the trial will last two weeks, but the time may be shortened by the issue preclusion. The case is Young v. Barrett, No. 2010 A 4415-4. Ford Motor Co. on Monday avoided what its lawyer called “the ultimate death penalty” when a Cobb County judge denied the plaintiffs’ motion to throw out the automaker’s defense in a product liability suit and instead chose a lesser punishment for withholding information. But by the end of the daylong arguments, an appeal was virtually certain after the trial, which was restarted on Tuesday following a week’s delay to deal with Ford’s sanction. If Ford loses, appeals judges can expect the company to say State Court Judge Kathryn J. Tanksley’s punishment—throwing out the company’s lead outside counsel and precluding the company’s defense of a failure to warn claim—was unfair. If Ford wins, the plaintiffs are likely to say Tanksley should have tossed Ford’s entire defense to claims that a defective seat belt killed their 15-year-old son. At issue was Ford’s failure to answer accurately a question asked by plaintiffs in discovery—whether the company had insurance coverage for verdicts. Plaintiffs’ attorneys said last week that Ford’s failure violated Georgia law requiring that potential jurors be screened for financial conflicts of interest that could occur if a juror’s decision affected his premiums. Tanksley learned on the morning of June 14—after a full day of voir dire—that contrary to Ford’s statements in a pretrial order, the company had purchased excess verdict policies with a number of insurers. She revoked the pro hac vice orders for Ford’s top lawyers, D. Alan Thomas and his co-counsel, Paul F. Malek of Birmingham, Ala.-based Huie, Fernambucq & Stewart. The removal left Ford’s defense in the hands of local counsel, Michael R. Boorman of Huff Powell & Bailey and his associate, Audrey K. Berland, who had been assisting Thomas and Malek. Tanksley set aside Monday for arguments on the plaintiffs’ motion to strike Ford’s complete defense. Much of the hearing focused on when Ford’s lawyers found out about the insurance carriers. Both sides played testimony from Ford in-house counsel Beth A. Rose, who was questioned in a deposition via teleconference June 15. Rose said she misunderstood an email from the company’s outside counsel asking about insurance coverage. She directed them to say that Ford “has sufficient resources to satisfy any judgment in this case,” which is what the defense stated in the pretrial order. Rose testified that in a routine call discussing the day’s events in court on June 13—the first day of voir dire—she and Thomas discussed the insurance coverage issue again. That’s when she realized she had misunderstood the question previously and told Thomas that Ford does have coverage for excess verdicts. She said Thomas asked for the names of the carriers, and she provided the names in an email the next morning after the company’s insurance division opened. Thomas and Boorman provided the names to Tanksley that same morning—although Rose admitted the names were initially wrong because the insurance office made a mistake. “It was a fundamentally inaccurate representation,” acknowledged Cahoon. “We think it was unintentional, but it was wrong.” But she argued that “striking an answer is the ultimate death penalty to impose on a party” and would be excessive. Tanksley interrupted Cahoon to note the absence in the courtroom Monday of Thomas and Malek. “Since they are not here, it’s appropriate to presume their testimony would not have been favorable,” the judge said. The judge announced a one-hour lunch break, after which Thomas testified that he learned of the insurance carriers on the evening of June 13 on the call with the general counsel’s office and promptly brought the information to the court’s attention Tuesday morning. Tanksley eventually ordered a 30-minute recess for the lawyers to prepare suggestions for lesser sanctions. When they returned, they held firm. DelCampo still wanted to strike Ford’s defense, or at least the wrongful death portion of it. Cahoon, Kilpatrick’s general counsel and longtime head of its litigation practice group, repeated an offer she had made in the morning: money—in an unspecified amount, to cover attorney fees and costs of plaintiffs, witnesses and the co-defendant, Donald R. Barrett, for the days the trial was delayed because of the withheld information. After listening to more arguments from the plaintiffs, Ford and the co-defendant’s attorney, Richard W. Brown, the judge sat with the courtroom in complete silence for several minutes around 4 p.m. before announcing her decision. Calling Ford’s withholding of information a “serious, serious violation,” Tanksley ordered an “issue preclusion” sanction, saying that she would not allow the automaker to argue against one of the plaintiffs’ charges: failure to warn against a product defect. The judge’s decision drew immediate objections from Cahoon. “We clearly disagree with any issue preclusion sanction,” she said, asking for certification for interlocutory appeal of the judge’s decision on the sanction, as well as for the judge’s denial of Ford’s motion for continuance of the trial until the fall. DelCampo urged Tanksley not to delay over threats of appeal from Ford’s defense attorneys. At the end of the day, the judge also effectively tossed Thomas out again, repeating her praise for Ford’s local counsel Boorman and Berland, who had expressed concern last week they were unprepared to be lead counsel. Tanksley also added she would not give permission for Thomas and Malek to “sit behind the rail” to support Boorman and Berland in the trial. Attorneys for the plaintiffs and co-defendant Barrett expressed to the judge an eagerness to get on with the proceedings, noting that the parties to the case had all traveled from out of town for the specially set two-week trial. The start of a two-week trial over alleged seat belt defects in a Ford Explorer came to a dramatic halt this week when a Cobb County State Court judge tossed the carmaker’s top two lawyers from the case because they withheld information about the company’s insurance coverage. Judge Kathryn J. Tanksley revoked pro hac vice orders on Tuesday for D. Alan Thomas and Paul F. Malek, both of Birmingham, Ala.-based Huie, Fernambucq & Stewart. The firm has represented Ford Motor Co. around the country for years, particularly in the Southeast and especially in cases related to the Explorer. The ejection of Thomas and Malek leaves the defense of Ford in the hands of its local counsel, Michael R. Boorman and Audrey K. Berland of Huff, Powell & Bailey. As the pair pleaded with Tanksley to postpone the trial so they could get better prepared for a case in which they had been assisting, family members of the 15-year-old boy killed in the accident at issue appeared distraught at the prospect of waiting longer for a resolution to their claims. On Wednesday, Tanksley said Ford’s belated admission required her to scrap the jurors who had gone through a full day of questioning because they were not screened to see if any carried policies with Ford’s insurers or had other financial conflicts of interest. Thomas told the judge that he learned of the insurance carriers only Tuesday morning. “In no way did I intend to mislead this court,” he said. Malek added that the lawyers did “make a good faith inquiry” about insurance coverage and believed no policy would apply until receiving an email that morning. The judge’s unusual action against the defense attorneys came as an answer to a motion from opposing counsel J. Antonio DelCampo, a former DeKalb State Court judge who left the bench in March to become the newest partner in the plaintiffs’ firm Harris Lowry Manton DelCampo. On Tuesday, DelCampo asked the judge to strike Ford’s answer to the lawsuit as a sanction for the insurance information. Tanksley scheduled a hearing on the motion for Wednesday afternoon, but then delayed it at defense counsel’s request. After defense arguments for even more time, Tanksley rescheduled the hearing for 9:30 a.m. Monday, after which she will decide whether to restart the trial then or reschedule it for later. DelCampo’s clients in the case are Janice and Donald R. Young II, whose 15-year-old son Donald R. “Deebs” Young III, died after a Ford Explorer rolled over on April 18, 2004. The plaintiffs allege that the boy was killed by a malfunctioning seat belt. Deebs was wearing his seat belt, but the other two occupants of the 1998 Explorer were not. Yet they were ejected from the vehicle and survived. On Wednesday, the boy’s mother left the courtroom weeping during a break following discussion of pushing the trial to August or September. DelCampo told the judge that the father is scheduled to begin cancer treatment in three weeks and had hoped the trial would be finished first. The family and many witnesses had come from out of town for the specially set trial, DelCampo said. The Young family and the plaintiffs’ legal team all wore blue wristbands inscribed with the words “Forever Young” in Deebs’ memory. The wristbands came from a fundraiser for what is now called Deebs Young Memorial Stadium at the boy’s former middle school in Greensboro, N.C.
“I’m as disappointed and saddened as anyone here” by the delay, Tanksley told the courtroom. The information that triggered the revocation—the names of insurance carriers protecting Ford against high-dollar verdicts—could be important in showing how much the company could pay in this case and others. But the information also was required by Georgia law to be stated in the pretrial order and used in jury qualification, according to the judge and lawyers on both sides. Because Ford’s lawyers revealed the names of the insurance carriers after a full day of voir dire, which began Monday morning and went on until 7:45 p.m. that night, the judge had to release the jury, effectively calling a mistrial. The plaintiffs’ lawyers had requested the insurance information several times in discovery, including in a hearing weeks ago and even again on Monday. The defense gave no insurance company names, saying that Ford’s assets were sufficient to cover any judgment resulting from the case. But on Tuesday, Boorman said that Ford’s lawyers had learned that morning that the company does have verdict insurance carriers. “Ford is self-insured up to $25 million, but then there are excess coverages that are very complicated,” Boorman said. Under questioning from the judge and opposing counsel, the defense did not say who wrote the email revealing the insurance coverage or who received it. But on a direct question from plaintiffs’ lawyer Stephen G. Lowry, Boorman named six insurance companies: Zurich US, Zurich UK, Hanseatic Insurance Co., Swiss Re, AISLIC and Star. At the plaintiffs’ request, the judge ordered Ford to provide a corporate representative for a deposition to find out what insurance coverage the company has, how much of that information Ford shared with its lawyers and when the lawyers found out about it. Boorman then asked the judge to seal the deposition, asserting that the information relates to attorney-client privilege. Tanksley granted the request to seal the deposition. Even the name of the Ford representative deposed was kept out of the record. However, the deposition was discussed in court the next day. On Wednesday, DelCampo told the judge that from the deposition, the number of known Ford insurance carriers grew from six to 12. The others were not named. Although Wednesday’s hearing was scheduled for the plaintiffs’ motion to strike Ford’s answer to the case, it turned into an argument over whether to grant the defense motion to delay the hearing and the trial. The discussion put Boorman and Berland in the unusual position of pleading their own lack of experience and preparation. “I’m not capable of adequately representing my client in this short time,” said Boorman, now lead counsel. The plaintiffs’ attorneys pushed against delay. “If we don’t go forward, we’re rewarding Ford,” DelCampo told the court. SAVANNAH ATTORNEYS STEVE LOWRY, HARRIS PENN LOWRY DELCAMPO, LLP, AND JIM CARTER, JAMES E CARTER & ASSOCIATES, HAVE WON AN $11.5 MILLION VERDICT AGAINST THE FEDERAL GOVERNMENT FOR THE NEGLIGENCE OF A U.S. POSTAL SERVICE EMPLOYEE. U.S. District Judge Clay D. Land ordered the government, in a case heard in Athens, to pay the money to Mary Bilbrey and her profoundly injured son, Anthony, after mail delivery man Randy Malcom was found negligent in the operation of his mail delivery truck. Bilbrey, who was eight-and-a-half months pregnant, and her finace, Jason Murray, were driving home on Dec. 22, 2006, after Christmas shopping, when Malcom pulled into their lane from the right-hand side of the road. Murray lost control and ran into a fence. Malcom didn’t stop to help and left the scene. Bilbrey’s son was delivered by C-section and will never roll over, sit up, stand, walk, talk or eat on his own. A conservator has been named to ensure the money is managed properly to care for the boy. According to the federal indictment — in which his wife, Rhonda Washington Houser, 46, also is charged — those Medicare and Medicaid payments were supposed to go toward care of residents at Houser’s three nursing homes. Instead, federal prosecutors allege the Housers funneled the money to purchase luxury cars and real estate, including a $1.3 million Atlanta home for George Houser’s ex-wife. No trial date has been set for the federal case, said Patrick Crosby, a spokesman for the U.S. Attorney’s office in Atlanta. Houser’s attorney in that case, Christopher P. Twyman, did not return a telephone call seeking comment. Houser is a Harvard Law School graduate and an attorney admitted to practice law in Georgia in 1972, according to the State Bar of Georgia’s website. Her father, who was admitted to the facility a year earlier, fell numerous times, breaking his hip in one instance, according to the lawsuit. The nursing home also did not notify Ellison’s doctors or family of his injuries. XPONENT’S RECORD OF SUCCESS IN AIDING AUTOMAKERS IS NOT PERFECT. When Jessica Mundy sued Ford Motor, the company hired Exponent to help with its defense, and Robert Lange, Exponent’s vehicle engineering group vice president, testified as an expert witness. Mundy had been left paraplegic after a 2005 incident with her 2004 Ford Explorer. She says it backed into her after she put it in “park” and got out for an errand near her Georgia home. Ford Motor lost the case last year and made an undisclosed financial settlement with Mundy. In a written response to USA TODAY, Exponent said it “has illuminated issues of driver performance,” but that its research has not hindered development of mechanical fixes for the problem. Last August, NHTSA began a probe of park-to-reverse complaints on 2002-05 Explorers, involving 200 incidents and 32 injuries. It is ongoing. General Motors hired Exponent in the 1980s, when it then was named Failure Analysis Associates, to investigate complaints of engine fires in 1984-88 Pontiac Fiero sports cars. GM cited its research in a December 1989 letter to NHTSA. The letter said GM and its “outside engineering experts” found the fires were due to “improper owner maintenance and improper service.” But under pressure from NHTSA, which found two previous recalls “inadequate” in preventing the fires, GM agreed to a third recall. Two years later, NHTSA records show, GM agreed to a final fourth recall. Lange, who worked for Exponent on the Fiero problems, says the company both addressed “consumer education” and “helped GM prove out a set of mechanical solutions.” GM and NHTSA declined to comment. GM hired Lange in 1994 after he helped defend GM against allegations that side-positioned fuel tanks in its C/K pickups were more fire-prone than other designs. GM did not have to do a recall and settled with the Transportation Department by paying $51 million for safety programs. Lange was GM’s safety chief until he returned to Exponent in late 2008. IN THE CASE HUFF POWELL LOST, A DEKALB COUNTY JURY AWARDED $4.3 MILLION TO THE MOTHER AND CHILDREN OF A WOMAN WHO DIED ALMOST EIGHT YEARS AGO FOLLOWING AN INFECTION THAT SET IN AFTER SHE GAVE BIRTH TO TWINS. Over the next several days, her condition worsened and the incision point displayed increasing signs of infection, becoming painful, hardening and showing signs of necrotizing fasciitis, or dying of the tissue. She was treated with broad-spectrum antibiotics but did not respond, her temperature rising to 105 degrees at one point, and a new infection erupting on her thigh. Brydson underwent several surgical debridements, procedures in which dead tissue is cut away, on her abdomen, groin and thighs, and was eventually placed on a respirator, according to the order. On May 2, she was transferred to Emory Crawford Long Hospital for hyperbaric therapy, where she stayed for seven weeks before dying of multi-organ system failure, sepsis and blood clots throughout her circulatory system. In 2004, Brad C. Kaplan and James I. Seifter of Marietta’s Kaplan & Seifter and Horatio O. Edmondson of Stone Mountain filed a wrongful death action against DeKalb Medical Center, Consolidated OB-GYN Specialty Group, DeKalb Surgical Associates and eight doctors involved in Brydson’s care. By the time the case was ready for trial, several defendants had been dismissed, said Jeffrey R. Harris of Harris Lowry Manton LLP, who was brought in to handle the trial with partner Stephen G. Lowry about six months ago. “At one point, [the case] was like a medical lawyer’s full-employment act,” said Harris. When trial began on Jan. 11 before DeKalb County State Court Judge Barbara J. Mobley, the defendants included Consolidated and its employee, Dr. Alecia R. Lovelady, who had performed the C-section; and DeKalb Surgical Associates and its employee, Dr. Michael J. Cornwell, who had performed several of the debridements and consulted with Brydson’s other doctors on the procedures. The other defendants, said the attorneys in the case, were dismissed; no settlements were paid for those dismissals. At trial, defense attorneys argued that Brydson’s infections were not caused by any improper care, but that the woman—who had a history of severe reactions to medications and antibiotics—suffered from one or more additional ailments. “This was a tragic case, a horrible, horrible story,” said Commander + Pound partner Theodore E.G. Pound, who led a team defending Consolidated and Lovelady that included his associate, Lori E. Jolly, and Carlock, Copeland & Stair partner Asha F. Jackson and associate Samantha T. Lemery. Huff, who represented DeKalb Surgical and Cornwell, said his client had been accused of failing to perform debriding procedures frequently enough, but those assertions were misguided, he said. fault on the the part of Lovelady, the obstetrician, but holding Consolidated, DeKalb Surgical and Cornwell liable for a total of $4,317,495, including $2.3 million for the value of Brydson’s life, $200,000 for pain and suffering, and $1,817,495 for medical and funeral expenses. Both Pound and Huff said an appeal or motion for new trial is highly likely, and they agreed that the jury may have been moved by sympathy for Brydson and her family due to the horrific circumstances of her death. “The verdict is against the great weight of the medical evidence,” said Pound. “It is very difficult … to understand how the jury concluded that Consolidated was at fault, but Dr. Lovelady was not. It is beyond my understanding. Harris, too, said the case was extraordinarily difficult, and credited partner Lowry as “the genius who sat around and read seven years of medical records and reports in six months” as key to the win. The case is Allen v. Consolidated OB-GYN, No. 04-A-18223-5. A LAMAR COUNTY WOMAN WHO SAID A TRANSMISSION DEFECT IN HER FORD EXPLORER LED TO HER PARALYSIS WAS AWARDED $40 MILLION IN DAMAGES BY A DEKALB COUNTY JURY LATE WEDNESDAY. The jury’s award to Jessica Mundy includes $30 million in punitive damages, $9 million in compensatory damages to her and $1 million to her husband. Ford Motor Co. and Legacy Ford in McDonough, where Mundy purchased the 2004 Explorer that ran her over, were defendants in the suit. Mountaineers manufactured in model years 2002 through 2005 unexpectedly come out of park. Reverse. In her suit, she said she got out of the Explorer to mail a package in McDonough and the vehicle ran her over fracturing her spine. Her Savannah attorney, Jeff Harris, presented videotaped depositions of three people who said their Ford vehicles had similar instances of suddenly going out of park. Harris said a settlement agreement has been reached but its terms are confidential. Ford officials did not immediately return telephone calls seeking comment Thursday but in an earlier written statement, the Dearborn, Mich.-based automaker said Mundy’s operation of the vehicle led to the accident, not anything wrong with the Explorer itself. “It tells me that 12 people who don’t know me, believe that I’m telling the truth,” Mundy, now 26, said. Mundy, who was trained as an accountant and had been a state employee, said she has been unable to work since the accident. Mundy said she feels she now has closure. THE NATIONAL HIGHWAY TRAFFIC SAFETY ADMINISTRATION HAS OPENED A FORMAL INVESTIGATION INTO CONSUMER ALLEGATIONS THAT CERTAIN FORD EXPLORERS AND MERCURY MOUNTAINEERS CAN UNEXPECTEDLY SLIP OUT OF PARK, FEDERAL RECORDS SHOW. The defect investigation was launched April 21; two days after The Atlanta Journal-Constitution highlighted consumer complaints about the problem and the case of a local woman who claims she’s a paraplegic because her Explorer shifted from park to reverse and ran over her. “A preliminary evaluation has been opened to assess the scope, frequency and potential safety consequences of the alleged defect and any relationship of the alleged gearshift lever mechanism failures to the alleged vehicle rollaway incidents,” according to the defect investigation document. Regulators are looking at 2002 through 2005 model year Explorers and Mountaineers; about 1.4 million of these SUVs were produced. NHTSA has received 11 complaints of vehicle rollaways after the driver shifted the vehicle into park. In addition, 61 other vehicle owners have alleged failure of the gear shift lever mechanism while shifting from or to the park position, the document says. “We do not see a safety risk and we will be fully cooperating with the government with the investigation,” Ford spokesman Wes Sherwood said Wednesday. Jessica Mundy, whose spine was fractured when she was run over by her 2004 Ford Explorer after she got out to mail a package in McDonough, is currently suing Ford Motor Company in a lawsuit filed in DeKalb County. She was 22 at the time. In court records Mundy alleges she is a paraplegic because of a transmission design defect that caused her Explorer to unexpectedly shift from park to reverse. The suit alleges that the defect also allows drivers to put the shifter in what appears to be park — but really isn’t. OWNERS OF 2004 FORD EXPLORERS HAVE FILED MORE THAN 200 COMPLAINTS TO REGULATORS ABOUT THEIR VEHICLES’ TRANSMISSIONS, WITH MOST SAYING THE SUVS SHIFT INTO REVERSE WITHOUT WARNING AND SURGE BACKWARD, FEDERAL RECORDS SHOW. Ford officials say the transmission problem has never posed any safety threat and was addressed years ago through a service program at dealerships. But complaints continue, and the issue has caught the attention of the National Highway Traffic Safety Administration. “We have not launched a formal investigation. But we are certainly very much aware of the potential problem and have been watching it very closely,” Rae Tyson, a spokesman for the watchdog agency, said last week. Of particular concern are complaints alleging Explorers’ transmissions don’t fully go into park, then slip into reverse, Tyson said. On Monday, a trial is scheduled to start in DeKalb County involving Jessica Mundy, whose spine was fractured when she was run over by her 2004 Ford Explorer after she got out to mail a package in McDonough. She was 22 at the time. In court records, Mundy, who is suing Ford for damages, alleges she is a paraplegic because of a transmission design defect that let her Explorer unexpectedly shift from park to reverse. The suit alleges that the defect also allows drivers to put the shifter in what appears to be park — but really isn’t. Mundy’s attorneys declined to comment for this article. Court papers note that Mundy’s Explorer was one of several Ford vehicles covered by a transmission repair service bulletin issued by the automaker in January 2005. Mundy’s lawyers have alleged that the automaker’s fix, which was done on the woman’s Explorer, could have contributed to the vehicle slipping out of park. Ford’s lawyers, in court papers, say the allegation is without any basis. Ford officials objected to The Atlanta Journal-Constitution writing about the service bulletin, saying it has nothing to do with any safety defect and has nothing to do with the Mundy case. The bulletin — which Ford calls a “customer satisfaction program” — notified owners that the factory-installed transmission fluid may over time cause their vehicles to experience “delayed/harsh reverse engagements.” Ford told owners to take vehicles to dealers, who would install a transmission fluid additive to correct the existing fluid. “The longer that your vehicle is operated with the original fluid, the greater the possibility that your vehicle will experience transmission shifting concerns in the future,” Ford said in an April 2005 follow-up letter to vehicle owners. Nobody was injured in most of the reported cases. Tyson, the NHTSA spokesman, encouraged Explorer owners of any model year who have had transmission problems to file complaints with the agency to help it spot any trends. They can do it online at www.safercar.gov or call 1-888-327-4236, he said. Most consumers complain directly to automakers and only a fraction of vehicle owners file complaints with the agency, experts say. Ford spokesman Wes Sherwood would not say how many reports the automaker has received of 2004 Ford Explorers slipping out of park into reverse. He said the information is proprietary and is shared privately with the NHTSA. “We have not seen a trend with this type of issue,” Sherwood said. Sherwood said consumer complaints alleging park-to-reverse shift problems are not uncommon for automatic transmission vehicles and have also been filed against other makers’ vehicles. Automakers often say drivers are at fault for not ensuring they shift fully into park. In 2002, Chrysler recalled about 1.6 million Jeep Grand Cherokees made from 1993 to 1998 after consumers complained the vehicles could shift into reverse when the gearshift appeared to be in park. In news reports at the time, Chrysler said its vehicles were not defective, but that the company was installing an additional part to make it more difficult for drivers to fail to put the vehicle fully into park. The National Highway Traffic Safety Administration has received more than 200 complaints about the automatic transmission in 2004 Ford Explorers. Ford spokesman Wes Sherwood said the company has seen no trend indicating any safety problem with the Explorer’s transmission. He said problems consumers have complained about to the NHTSA don’t have any “direct parallel with what’s going on in the court case” involving Jessica Mundy. A GWINNETT COUNTY JURY HAS AWARDED $5 MILLION IN DAMAGES TO THE FAMILY OF A NEW MOTHER WHO DROWNED IN A BATHTUB AT GWINNETT MEDICAL CENTER. Jeff Harris, one of the family’s attorneys, said Tuesday that nurses should have checked on Wendy Wyckstandt, 34, and concluded she was too weak to shower without assistance. Wyckstandt, a native of England who was being treated for post-partum high blood pressure, collapsed in a bathtub while taking a shower five days after Thanksgiving 2000. Her mother later found her and she died a day later. The family filed a wrongful death lawsuit against the hospital’s parent company, Gwinnett Health System, in 2002. Harris alleged the hospital altered medical records and kept evidence from the patient’s attorneys in what stretched into a six-year legal battle. “The hospital is still trying to dodge responsibility,” he said. Lawyers for the hospital did not return repeated telephone calls seeking comment Tuesday. Hospital spokeswoman Andrea Wehrmann released a statement defending the lawyers and hospital. She said nurses did properly check on their patient and no one tampered with evidence. “We understand the empathy and emotional response from the jury, however, after much analysis over the last eight years we believe the evidence does not support the verdict,” she said, adding that hospital officials will appeal the verdict. She pointed to the first trial in the case, which ended last year with a hung jury prepared to vote 11-1 in favor of the nurses and hospital. Harris said the hospital withheld evidence during the first trial. During the second trial, Gwinnett County Superior Court Judge Michael Clark said he would sanction Gwinnett Health System for not following the rules of discovery and turning over hospital policies on showering. The judge is still trying to decide how much the hospital system will have to pay Harris’ team to compensate for unnecessary research on that issue. Harris said three cameras were mounted in the hallway outside Wyckstandt’s room that show when nurses or doctors entered her room. Harris asked for video footage for the 24-hour period before her death. He said the hospital’s attorneys turned over tapes from only two cameras. Harris also said there is a 30-minute gap when no activity is shown on the tapes, which happens to be during the same time frame the hospital claims a nurse checked on the patient. Wehrmann said the cameras briefly weren’t recording because the tapes must be switched out during shift changes. FORD MOTOR CO. MAY HAVE BEEN SPARED A MONSTER PUNITIVE DAMAGES VERDICT IN AN SUV ROLLOVER CASE BECAUSE ITS LAWYER WAS ALLOWED TO TELL JURORS ABOUT THE CARMAKER’S DIRE FINANCIAL STRAITS AND MASS LAYOFFS. The Middlesex County, N.J., jury on Wednesday awarded only $42,500 in punitives, despite having found ford liable for $10.6 million in compensatory damages to a paralyzed driver. Rebutting the plaintiff’s evidence of Ford’s financial condition, Ford lawyer Thomas Hinchey of Campbell, Campbell, Edwards &. Conroy in Woodbury, N.J., referred to the automaker’s recent mass layoffs and losses. Ford reported a 2006 full-year net loss of $12.7 billion, and In January the automaker announced plans to eliminate 25,000 to 30,000 jobs In North America and close 14 plants by 2012. Superior Court Judge Jamie Happas overruled objections by the plaintiff’s lawyer, Barry Eichen, of Eichen Levinson in Edison, N.J. The suit claimed that the 2000 accident was caused by a defective throttle design In the 1997 Ford Explorer that made its accelerator stick In the closed position, When plaintiff Rebekah Zakrocki, then 21, pressed hard on the gas while driving on the Garden State Parkway, the vehicle lurched forward. Panicked, she turned the wheel to the left, causing the vehicle to roll onto its roof. The suit also charged that the design of the vehicle’s suspension, brakes and geometry gave it a heightened propensity to tip over. Zakrocki’s right hand was nearly severed in the crash, but doctors reattached it in surgery. She also suffered torn nerves in her brachial plexus, leaving her with only 10 percent use of her right arm, and she can no longer work as a cosmetics salesperson. The jury awarded $8.5 million for pain and suffering, $1.5 million for medical expenses and $1 million for lost wages after a 4-week trial. However, the jury reduced the award by 28 percent, the proportion by which it found Zakrocki responsible for the crash. Ford’s experts said she was driving 83 mps at the time of the crash. Her lawyers said she was going no faster than 73 mph. The jury deducted another $2 million because Zachrocki was not wearing a seatbelt. Happas instructed the panel to apply Model Jury Charge 6.11J, “Damages as Affected by Nonuse of Seat Belt Including Ultimate Outcome,” which lays out a formula for reducing damages when a litigant’s failure to buckle up made injuries more severe. Factoring in both those deductions, Zakrocki will receive about $7 million in compensatory damages. Hinchy and Dobis also represented Freehold Ford, the dealership that sold the vehicle, under an indemnification agreement with Ford Motor Co. The suit charged Freehold Ford knew or should have known of the Explorer’s throttle defects but failed to notify Zakrocki. Eichen says he sought to present evidence to the jury about Ford’s recall of Explorers for throttle plate problems, but Happas would not allow it. Zakrocki received notice of the recall a few months after the crash. Eichen was assisted by associate Jack Sander and by Steve Lowry of Harris Lowry Manton DelCampo in Atlanta, Ga. Eichen says he is weighing an appeal of the punitives verdict. Ford spokeswoman Kristen Kinley said the company plans to appeal the verdict. ATTORNEYS INVOLVED IN THE CLASS-ACTION LITIGATION AGAINST SAVANNAH ATTORNEY BENJAMIN S. EICHHOLZ AND HIS FIRM HAVE AGREED TO A NEW SETTLEMENT OF ABOUT $1.8 MILLION. He scheduled a fairness hearing for Jan. 29 at the Chatham County Courthouse to approve the settlement. Thompson also ordered publication of legal notice in the Savannah Morning News and other newspapers to begin Monday. The notice, which will run once a week for four consecutive weeks, will inform potential class members of the settlement terms so they may join the class. It will run on page 2A in the Morning News. Mailed notices to class members “shall be completed by Oct. 16,” Thompson ruled. Thompson is handling the case after the three local state court judges recused themselves. The “amended notice of settlement,” filed in Chatham County State Court Monday afternoon, calls for a gross settlement of “approximately $1.8 million,” court documents state. Included in that sum are attorneys’ fees “not to exceed $500,000, the cost of forensic accountants, the administration costs and the class action claims costs,” court documents state. The damages represent twice the “actual amount” of payments to Eichholz by James Hicks, an Iraq war veteran, and others who were represented by the attorney and his law firm in personal injury cases between Jan. 23, 2000, and Jan. 23, 2006. Two suits were filed by plaintiffs contending Eichholz inappropriately accounted for “soft costs” incurred in their cases – in effect, overcharging them. Defendants contended the issue involved a dispute over how to account for costs of litigation. The settlement represents the second effort to reach agreement before trial. The initial proposed settlement filed in June fell apart. Certified public accountants Dabbs, Hickman, Hill & Cannon LLP, of Statesboro, conducted an independent forensic accounting of both figures submitted by both the plaintiff and defendant. That report, dated Sept. 29, calculated gross settlement amounts between $1.1 million and $2.8 million. The proposed settlement requires the defendants to pay $549,753.52 into a special fund. Any funds unclaimed by class members will be split between Georgia Legal Services and the “United Way of Chatham County” (United Way of the Coastal Empire), the document states. As part of the proposed settlement, defendants agree to pay up to $500,000 in attorney’s fees. “This will not detract from the amounts available to pay the class members,” the document states. The defendants have deposited $1 million into the court’s registry. In addition, they would provide a $300,000 letter of credit before publication of the notice and an additional $100,000 letter of credit three weeks later, documents state. At the same time, defendants would sign a $199,507.03 promissory note. That sum, combined with the letters of credit, “will only be made as is necessary to fund the settlement,” the proposed settlement states. “Defendants’ liability for payment of claims shall not exceed $1,599,507.03,” the document states. LAWYERS FOR SAVANNAH ATTORNEY BENJAMIN S. EICHHOLZ ARE THREATENING TO RENEGE ON A SETTLEMENT OF TWO LAWSUITS ALLEGING HE OVERCHARGED A GROUP OF HIS CLIENTS, ACCORDING TO DOCUMENTS FILED IN CHATHAM COUNTY STATE COURT LAST WEEK. In response, plaintiffs’ lawyers have asked a judge to enforce the settlement. They also want the judge to transfer $1 million in settlement funds into a court account to prevent Eichholz’s lawyers from withdrawing the money as threatened. Two class-action, legal malpractice suits were filed charging Eichholz and his law firm overstated the amount of expenses incurred in their respective personal injury cases. The total number of plaintiffs in the classes will be determined later. Accountants estimated the average per file sum was $669.14, which under the settlement would be doubled, documents stated. Subsequent estimates increased that sum to $704.63 per file, documents stated. Effingham County State Court Judge Ronnie Thompson has scheduled a Thursday hearing in the Chatham County Courthouse to consider the plaintiffs’ requests. Thompson is handling the matter after Chatham County’s three state court judges removed themselves. In June, parties filed a settlement agreement for an undetermined number of clients involved in claims that occurred over a six-year period between Jan. 23, 2000, and Jan. 23, 2006, court documents stated. As part of the settlement, Eichholz agreed to place $1 million in an escrow account against the final sums involved. Plaintiffs’ lawyers charged in documents filed Thursday that defendants have “balked” at the settlement after accountants determined the amounts of money involved. “On Aug. 4, 2006, during a conference regarding the accounting procedures for the settlement of the case, defense counsel Ryan Mock admitted that his clients ‘could not go forward with the settlement,’ ” attorneys Steven Scheer, Bart Turner and Stephen Lowry stated in their filing. Mock, an Atlanta lawyer representing Eichholz and his firm, said his client made his decision on July 3 after the accountants’ initial report, the document states. “During the conversations, counsel for the defendants repeatedly implied that if the settlement parties already agreed to was not renegotiated, that the $1 million placed into an escrow account might not be in place for very long,” the document states. “It is now apparent that defendants have no intention of honoring the settlement they negotiated for and agreed to,” those attorneys said. On Friday, attorneys for Eichholz filed a motion to quash subpoenas for documents in 142 separate personal injury cases. “The settlement discussions have broken down,” Mock stated in his motion. He accused plaintiffs’ lawyers of acting in “bad faith” “in an effort to present irrelevant evidence” at the hearing and asked the court to intervene. Accountants initially determined the average per file sum amounts to more than $669, which when doubled in line with the settlement, came to $1,338.28. They believed the average would be applied to about 1,700 and 2,300 files. “Defendants, seemingly upset at the numbers, claimed that they had found settlement statements for 2004 that they initially claimed they could not find,” plaintiffs’ lawyers said. “According to the accountants’ preliminary numbers, the ‘newly found’ settlement statements changed the averages to $704.63 or when doubled $1,409.26 which wold be applied to approximately 1,200 to 1,700 files,” the document states. THE FAMILY OF ALICIA GOODWIN SETTLED A LAWSUIT AGAINST THE AIR AMBULANCE COMPANY THAT OWNED AND OPERATED A HELICOPTER THAT CRASHED NEAR NEWBERRY, SOUTH CAROLINA WHILE TAKING OFF FROM INTERSTATE 26. THE CRASH OCCURRED ON JULY 13, 2004 AT APPROXIMATELY 5:30 A.M. THE HELICOPTER WAS ATTEMPTING TO TRANSPORT GOODWIN AFTER SHE WAS HIT BY A TRUCK NEAR A REST AREA. GOODWIN WAS KILLED IN THE COLLISION, ALONG WITH THE FLIGHT NURSE, FLIGHT PARAMEDIC AND THE PILOT. FROM THE MEDICAL REPORTS IT APPEARED THAT GOODWIN SUFFERED A LEG INJURY THAT WAS NOT LIFE THREATENING. The conditions during the night time flight were light fog and mist. During the case it was discovered that two other air ambulance companies declined the flight because of the weather conditions. The helicopter crashed after taking off and getting caught on surrounding trees. The helicopter took off from Spartanburg Regional Medical Center and was attempting to take Goodwin to the Medical Center. Air ambulance companies have come under increasing scrutiny due to taking unnecessary flights and inadequate safety procedures. According to the National Transportation Safety Board (NTSB), there were 55 emergency medical aircraft accidents which resulted in 54 fatalities and 18 serious injuries from January 2002 through January 2005. The NTSB recently released a study in January 2006 regarding air ambulances and their safety issues. The study found that air ambulances are used excessively, lack procedures for flight risk evaluations, and have inadequate flight dispatch procedures. Controlled flight into terrain (CFIT) during takeoff and landing is one of the most common causes of air ambulance accidents. A terrain awareness and warnings systems (TAWS) could help avoid many of these accidents. The terms of the Goodwin’s settlement are confidential. THIS FALL, FAMILY MEMBERS OF A GIRL WHO WAS PARALYZED IN A CAR ACCIDENT AND THEN WON A $47.7 MILLION VERDICT AGAINST FORD MOTOR CO. FACED A CHOICE. They could wait for the Georgia Supreme Court to decide whether to take up Ford’s appeal, or they could settle the case for presumably less than what a Fulton County jury awarded last year. In its appeal, Ford’s lawyers argued that the jury accepted a version of events that defied the laws of nature. Plaintiffs’ lawyers said the then-6-year-old girl was restrained properly in the back seat of a Lincoln LS, but Ford claimed that was impossible because the girl had been found in the front seat by rescuers. If the justices found Ford’s claims were not of great concern, gravity or importance to the public, the full verdict would be preserved. The family decided to settle for what both sides said is a confidential sum. But because the justices apparently did not find out in time that the case had been resolved, they acted on Ford Motor Co. v. Sasser, No. S05C2083, and denied Ford’s petition for certiorari. Lawyer Jeffrey R. Harris, who represented the paralyzed girl, Kelsey Sasser, is in the rare position of knowing what would have happened had his clients made a different choice. But despite knowing the court would have saved the verdict, he said he has no regrets. Harris said Ford could have kept the case going by pursuing a due process claim before the U.S. Supreme Court. “The bottom line is it’s always better to settle a case on terms both sides are familiar with,” said Harris, who handled the case with Andrew M. Scherffius III and Tamara McDowell Ayres of Scherffius, Ballard, Still & Ayres in Atlanta. Albert M. Pearson III, a lawyer with Moraitakis, Kushel, Pearson & Gardner who has experience in product liability cases, said the plaintiffs’ attorneys probably wish they had waited for the state Supreme Court decision. But Pearson added that because the plaintiffs’ lawyers had the upper hand in settlement negotiations, they probably got a significant part of the $47.7 million. Harris and his colleagues were “in a pretty damn good position,” Pearson said, because they already had won a decision at the Georgia Court of Appeals. “The settlement discussions could have been initiated by Ford because [Ford] might have been concerned about not getting cert, and wanted to take advantage of what minimal leverage they had” while the decision was pending, Pearson added. Ford’s lawyers, Teresa W. Roseborough of Sutherland Asbill & Brennan and Michael J. Bowers of Balch & Bingham, could not be reached. The case started in 2000, when Sasser was paralyzed from the waist down after the 2000 Lincoln LS driven by her mother was involved in an accident. Sasser’s attorneys claimed she was wearing her safety belt in the back seat when a seat latch malfunctioned in the accident, causing Sasser’s seat to collapse, lurch forward and injure her. Ford’s lawyers argued that the plaintiffs’ explanation for the injury wasn’t believable. Ford pointed to witnesses’ testimony that they found Sasser in the front seat after the accident. Ford’s lawyers said that Sasser must have been in the front seat when the collision occurred, because she was injured too seriously to have crawled there. In March 2004, a Fulton County Superior Court jury returned a $47.7 million verdict against Ford, including $33.8 million in compensatory damages. Ford appealed, seeking a new trial. In July 2005, the Georgia Court of Appeals affirmed the jury verdict. Ford Motor Co. v. Sasser, 274 Ga. App. 459. The three-judge panel said it would not second-guess the jury’s conclusions about the facts. “This contradictory evidence presented a classic question for the jury to resolve,” said Presiding Judge G. Alan Blackburn, writing for the panel. Judges Debra H. Bernes and John J. Ellington concurred. Ford responded by asking the state Supreme Court to hear the case. In its petition for certiorari, Ford said it deserved a new trial because Georgia law does not allow a jury to decide that the impossible has happened. Ford repeated that the badly injured child could not have crawled from the back seat to the front seat. Besides a spinal fracture, she suffered a head injury, two broken pelvic bones and bleeding in her lungs, according to Ford’s petition. Sasser’s attorneys responded that Ford should not be allowed to reargue the facts. “Ford Motor Company’s losing of a jury trial does not mean that the jury’s verdict is inconsistent with the ‘laws of nature,’” Sasser’s attorneys wrote in asking the Supreme Court to deny Ford’s petition. “Appellate courts do not engage in the business of weighing competing evidence. That role is within the province of the jury,” they added. THE GEORGIA COURT OF APPEALS HAS UPHELD A $47.7 MILLION JURY VERDICT AGAINST FORD MOTOR CO. IN THE CASE OF A CHILD WHO WAS PARALYZED AFTER A CAR ACCIDENT. Ford’s appeal argued, among other things, that a new trial should have been granted because the plaintiff’s explanation of how the injury occurred wasn’t credible. Attorneys for the plaintiff told jurors that a safety defect caused a back seat to collapse and lurch forward during a collision, permanently injuring 6-year-old Kelsey Sasser, who was sitting in the back seat and wearing her safety belt. Both sides acknowledge that when rescue workers arrived at the scene, the girl was lying in the front seat of her mother’s 2000 Lincoln LS. But while Sasser’s mother and sister testified that she crawled from the back seat to the front after the accident, attorneys for Ford contended that Sasser actually had been riding in the front seat when the vehicle collided with a pickup truck. Ford presented testimony from bystanders to raise doubt that Sasser had been seated in the back at the time of the accident. Ford also proffered statements from the girl’s mother and sister—later recanted—that Sasser rode in the front seat. The appeals court ruled on July 1, saying it would not second-guess the jury’s conclusions about the facts. Ford Motor Co. v. Sasser, No. A05A1152. “This contradictory evidence presented a classic question for the jury to resolve,” wrote Presiding Judge G. Alan Blackburn. Judges Debra H. Bernes and John J. Ellington concurred. The appeals court also noted that a history of safety problems plagued the Lincoln LS’s back-seat latching system, according to the automaker’s internal documents and the testimony of Ford engineers. Ford is considering an appeal to the Georgia Supreme Court, spokeswoman Kathleen Vokes said Thursday. Ford’s attorneys, Donald H. Dawson Jr. and Kathleen A. Clark of Dawson & Clark in Detroit, and Philippa V. Ellis of Owen, Gleaton, Egan, Jones & Sweeney in Atlanta, did not return calls seeking comment. Ford released a statement saying it was “disappointed” in the appeals ruling. One of the attorneys representing Sasser, Jeffrey R. Harris of Scherffius, Ballard, Still & Ayres, said Ford already had raised those points during trial. Harris, who represented Sasser at trial with Andrew M. Scherffius III and Tamara M. Ayres, said the appeals court was exhaustive in citing facts from the case to buttress its ruling. “They said those arguments are great in front of a jury, but they have no place in front of an appellate court,” Harris said. Initially, Ford’s medical expert said the girl’s injuries were caused because she was sitting in front and improperly wearing her seat belt. The expert said Sasser wore her lap belt but not her shoulder belt. Ford’s medical expert subsequently sought treatment for cancer and could not testify at trial. The company’s second expert offered a different explanation for the injury: During the collision, as the girl leaned forward, a side airbag deployed and struck her in the back. The automaker’s appeal said that, during closing arguments, the plaintiff’s attorneys claimed that Ford changed medical experts because the first expert’s theory wouldn’t satisfy a jury. Ford claimed that, by allowing this argument, Fulton County Superior Court Judge Jerry W. Baxter failed to enforce an in limine ruling prohibiting references to Ford’s first expert and his theories. The appeals court disagreed, citing the broader context of the plaintiff’s arguments. The plaintiff’s attorneys didn’t refer to the first expert, but to crash tests conducted for analysis by the first expert as “Ford’s theory of the case.” Additionally, Ford’s second expert relied on portions of the crash tests to reach his conclusions, the opinion says. The plaintiff’s closing argument claimed that when those crash tests showed Sasser couldn’t have been paralyzed even if she was improperly belted into the front seat, Ford knew “the ox is in the ditch” and hired the medical expert who testified at trial. Blackburn wrote that the court did not order, nor did Ford request, that the plaintiff refrain from mentioning the crash tests. Also, the court noted, the plaintiff’s attorney never referred to the first expert or his deposition or theories.